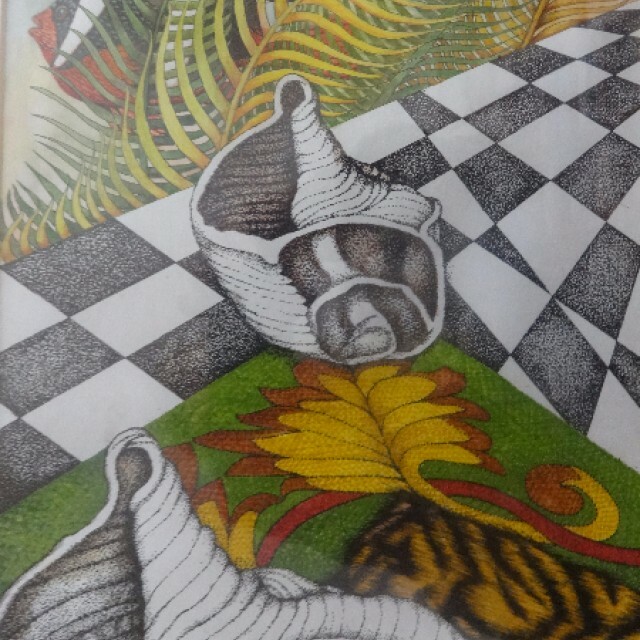 Sometimes we find an artist who breaks the mould, one who develops their own strong language and style with which to express themselves, and who is not swayed by fashions and trends. 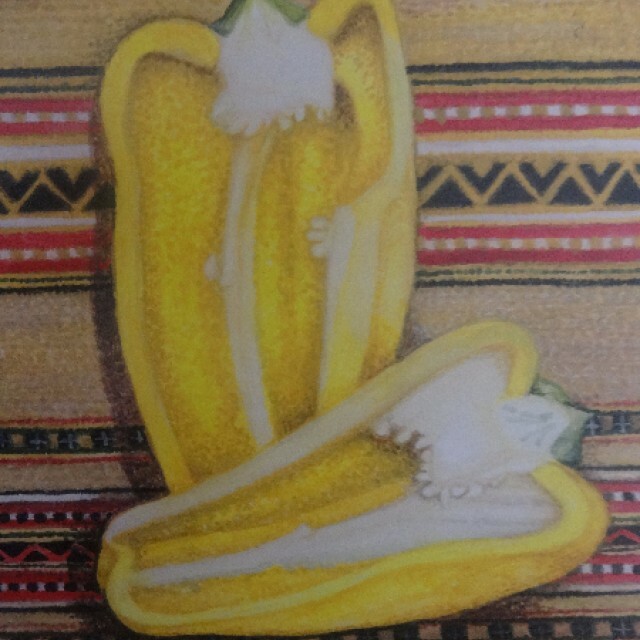 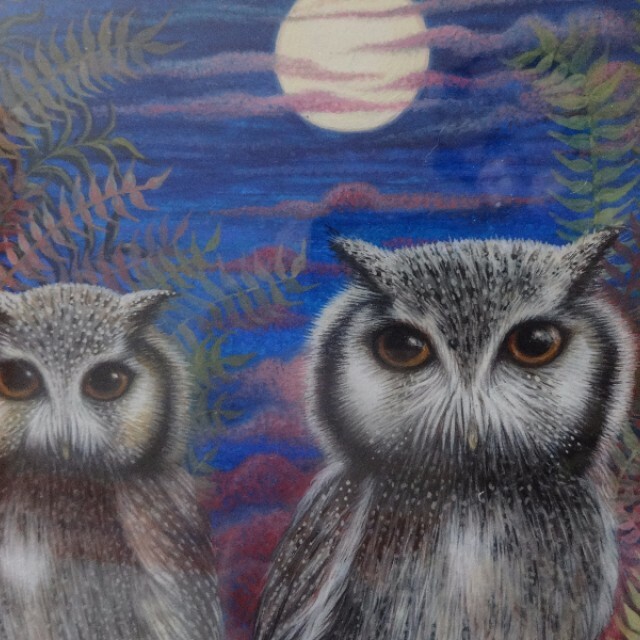 Anthea Lewis is one such artist. 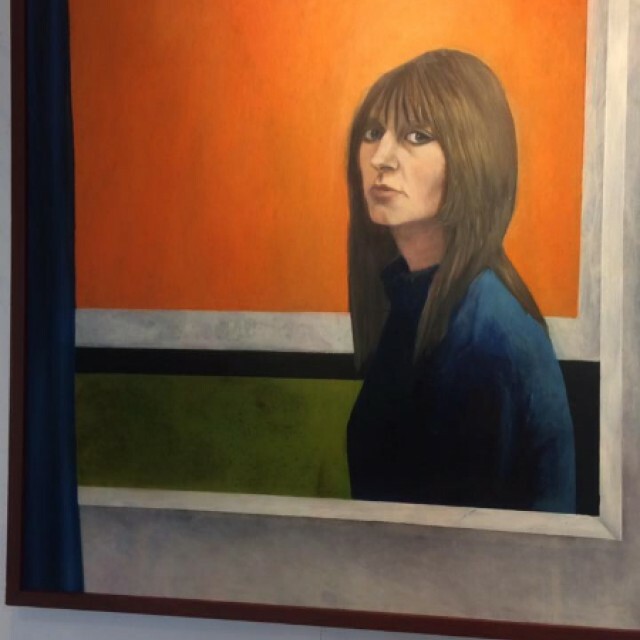 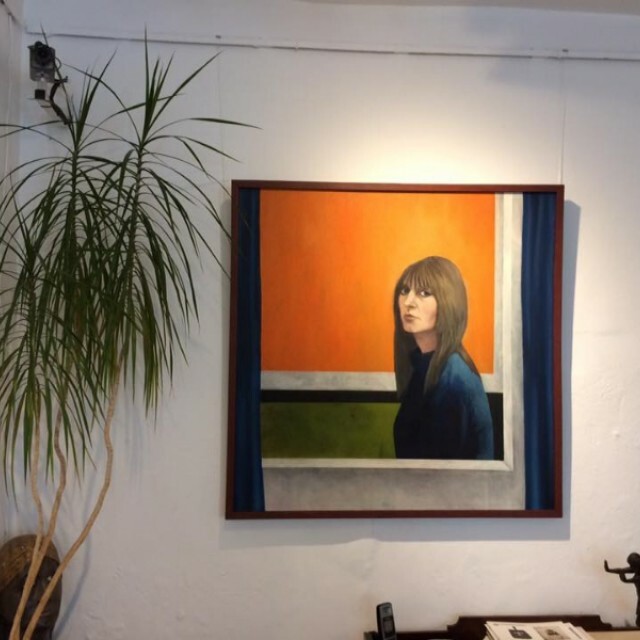 A Graduate from Edinburgh College of Art in 1970, she has exhibited widely throughout Scotland and in London, New York and Paris. 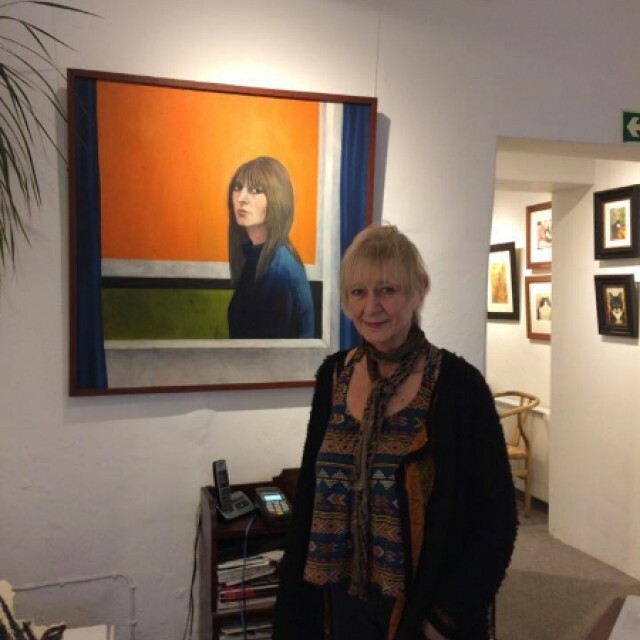 Throughout her career she has had several one-woman shows and numerous group exhibitions, including New 57 Gallery, Edinburgh 1971 & 75; Stirling Gallery 1975, 77, 80; Compass Gallery, Glasgow 1979. 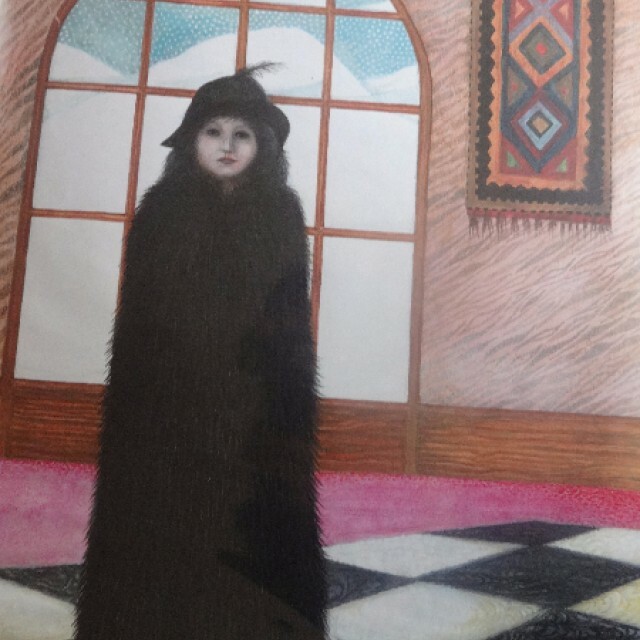 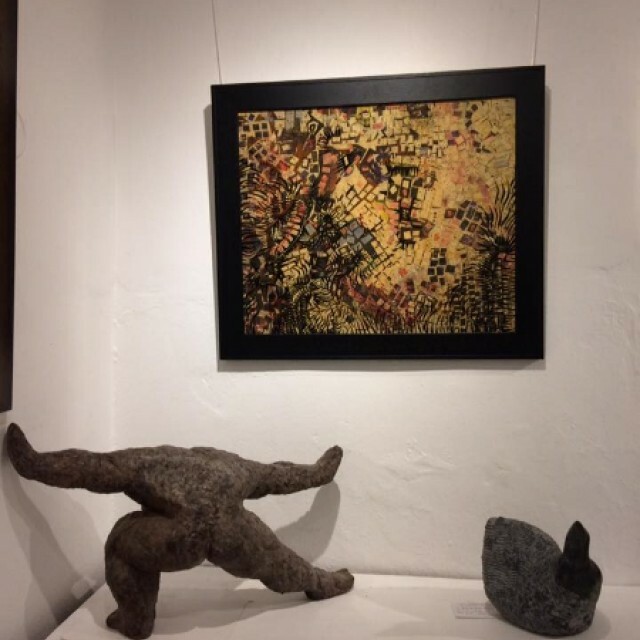 After moving to live and work in Paris in 1980, she exhibited in Plume Pinceau, Parc Monsouris, Bock et Boheme, La Mediatheque Ville de Mureaux and the Gallerie Naifs et Primitifs, Paris. 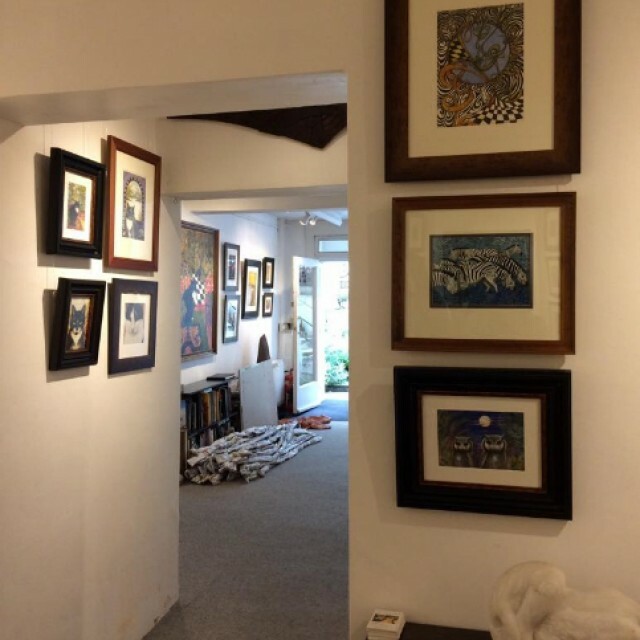 Her London exhibitions included the Portal and Mercury Galleries. 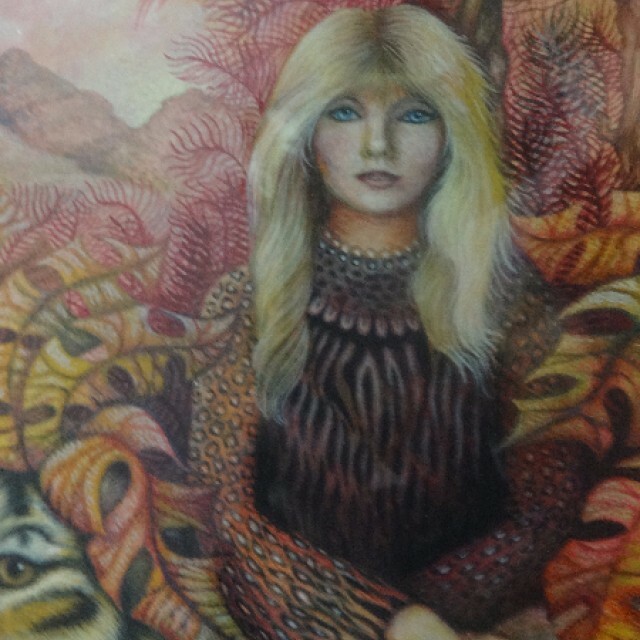 In 1977 she was elected RSW. 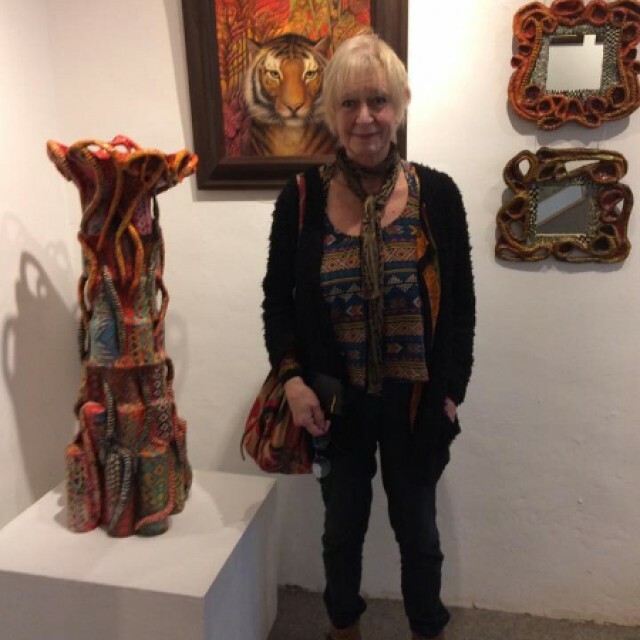 Born in London in 1948, her family moved from Birmingham, to Australia and then moved back to Britain in 1963, to live in Aberdeen, where her father directed the Blood Transfusion Centre. 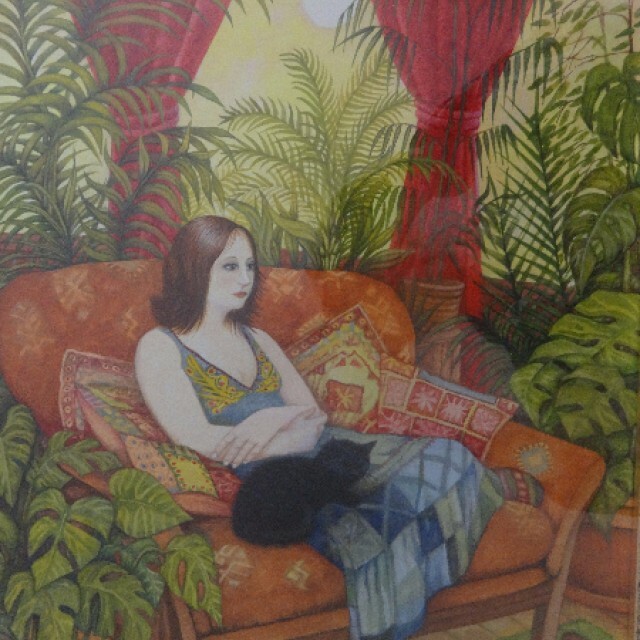 After graduating, Anthea moved to Paris in 1980, working as an illustrator and exhibiting, returning to Scotland in 1989 with her infant daughter to live in the fishing village of Dunbar. 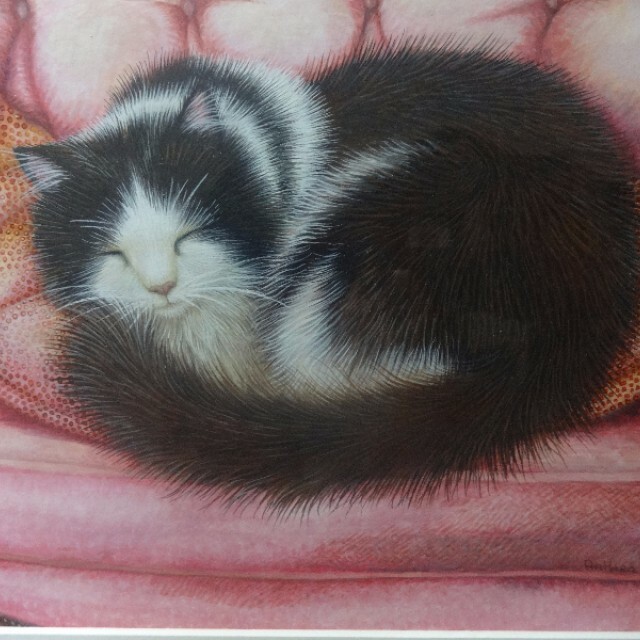 She then moved to Glasgow in 1996. 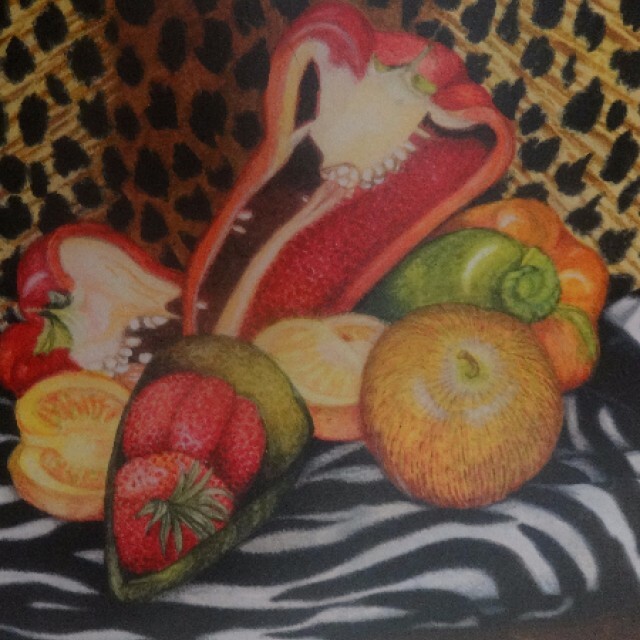 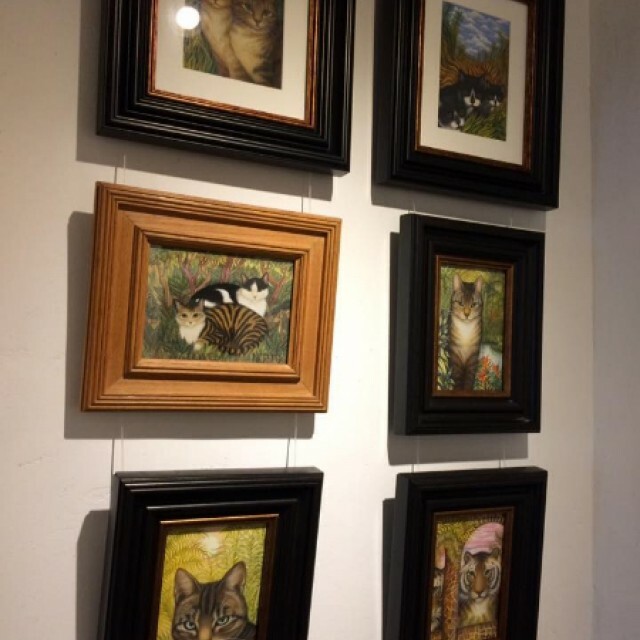 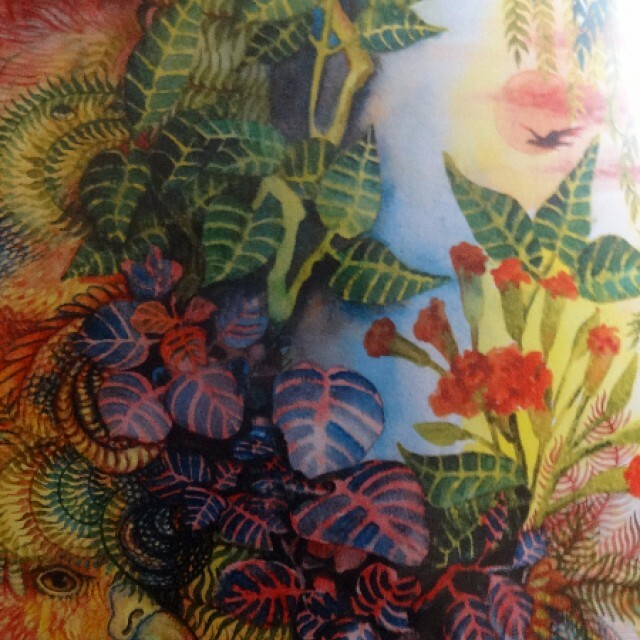 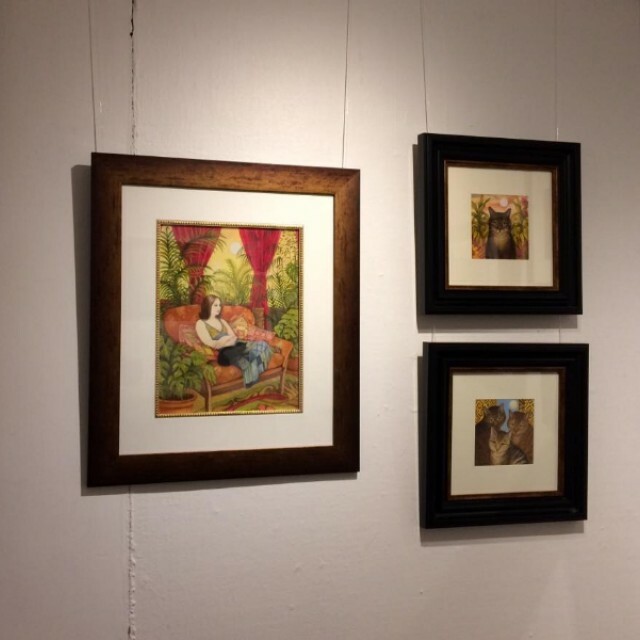 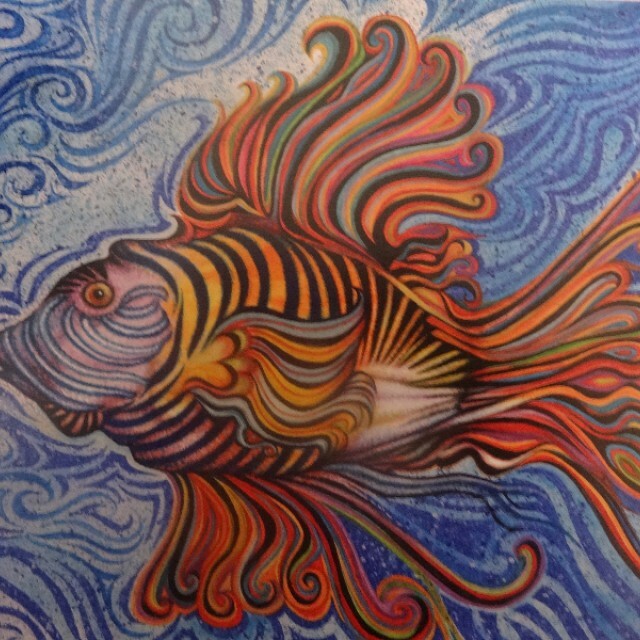 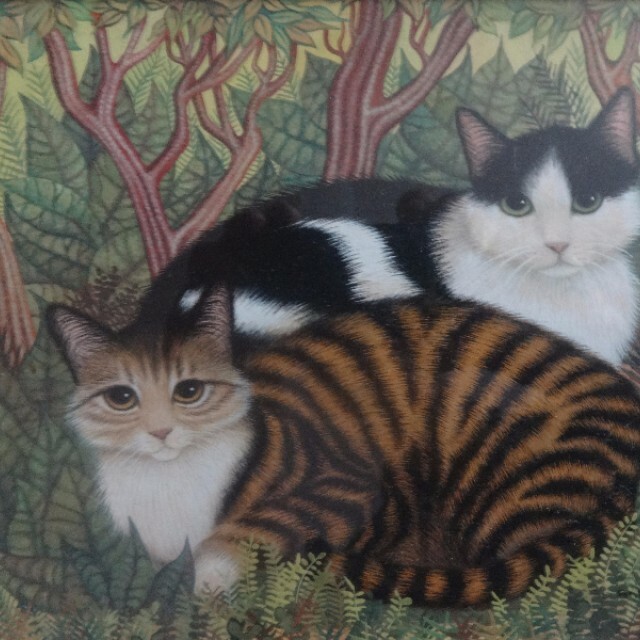 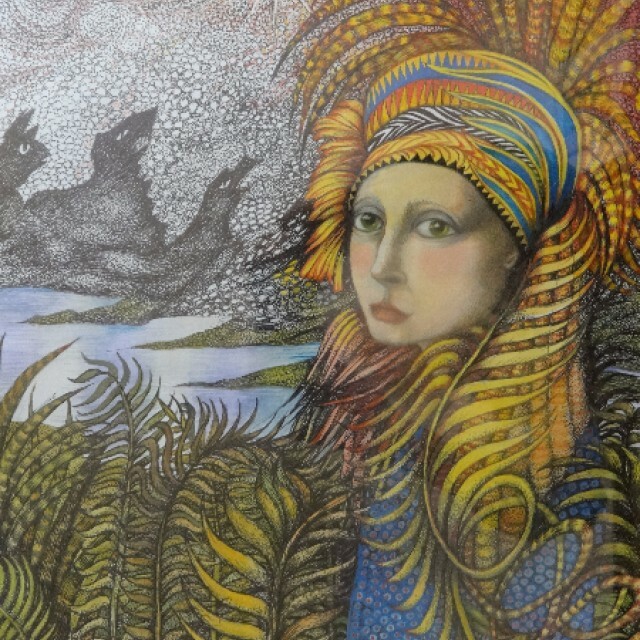 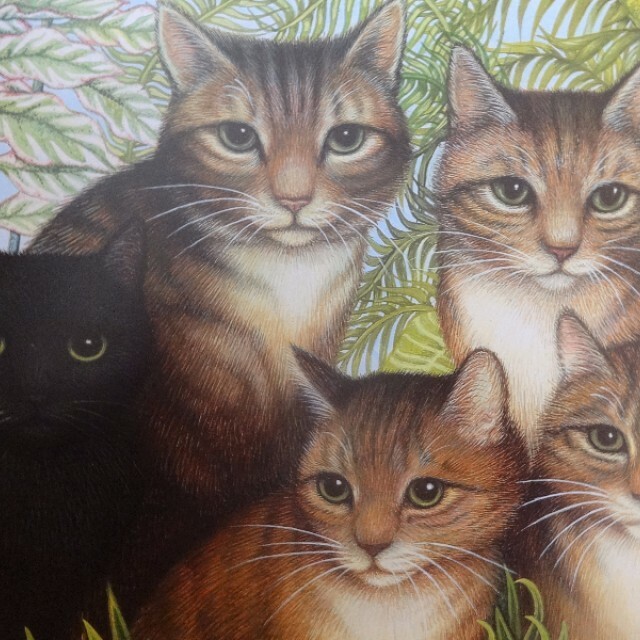 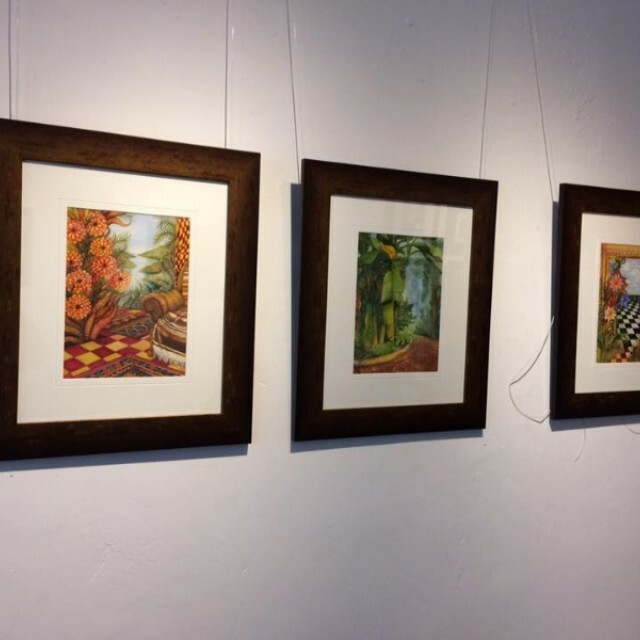 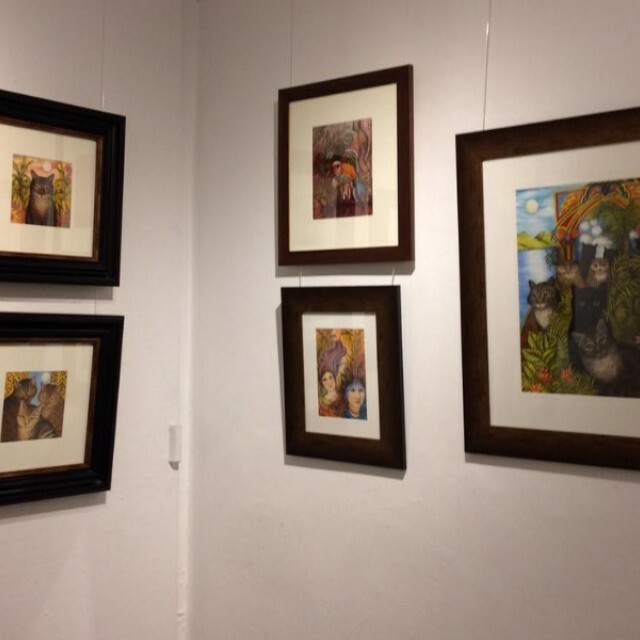 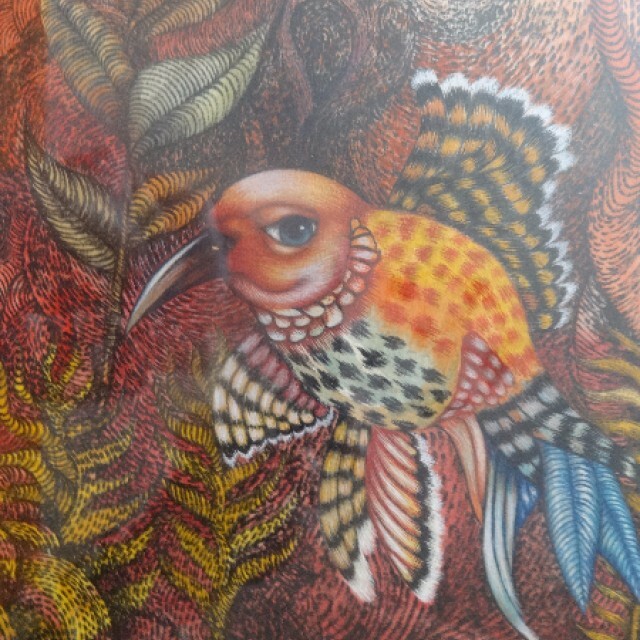 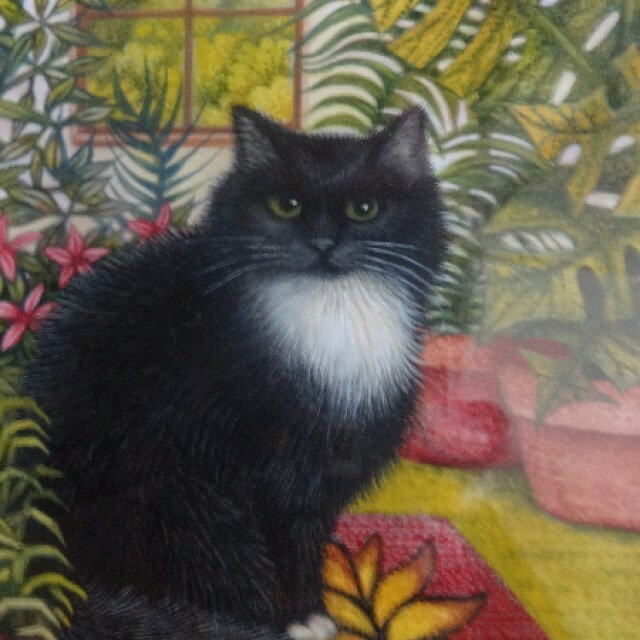 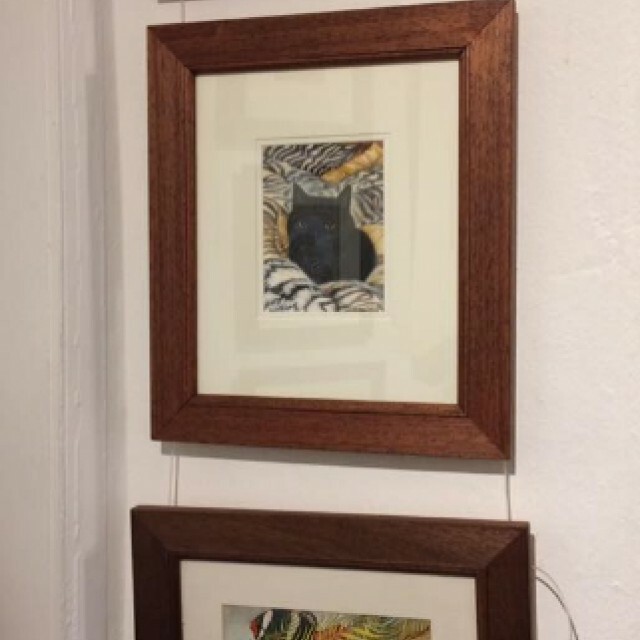 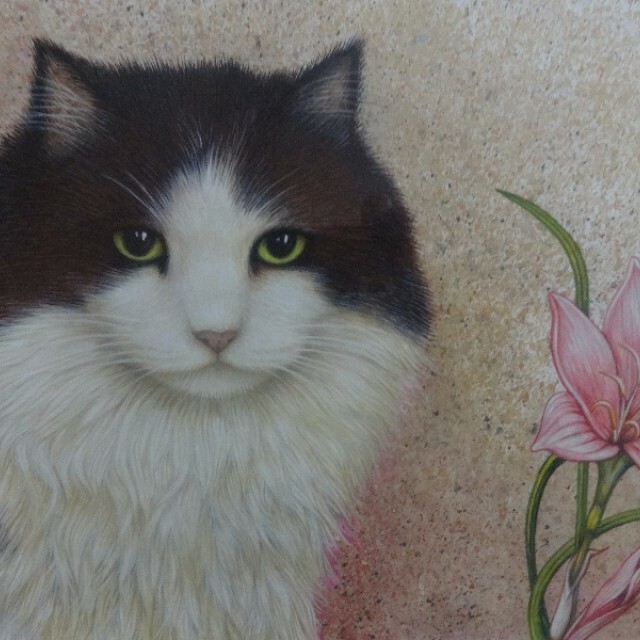 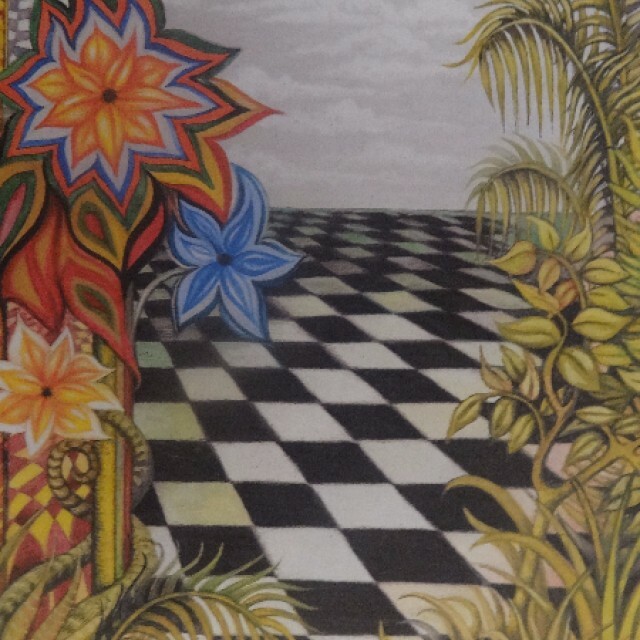 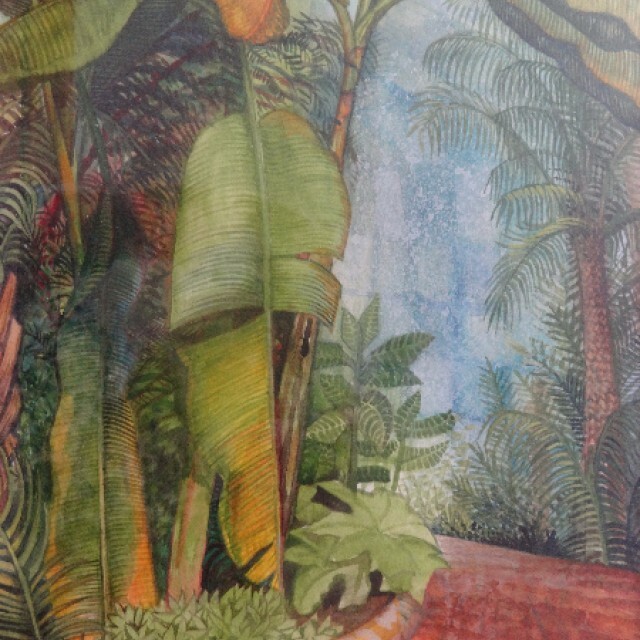 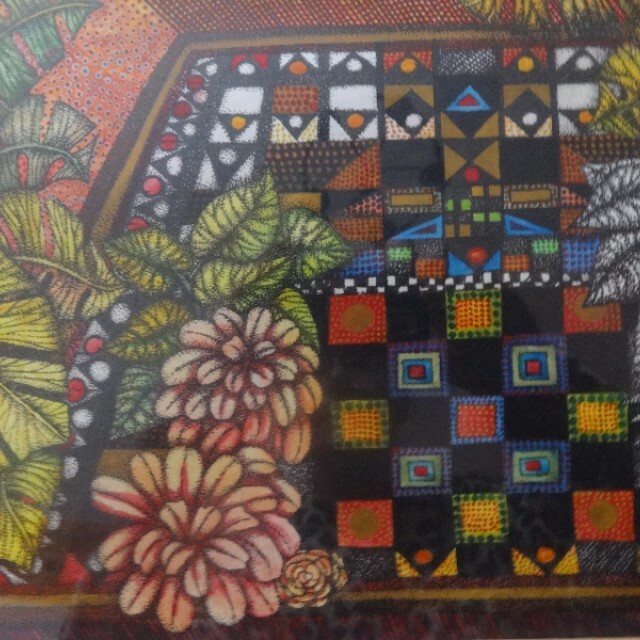 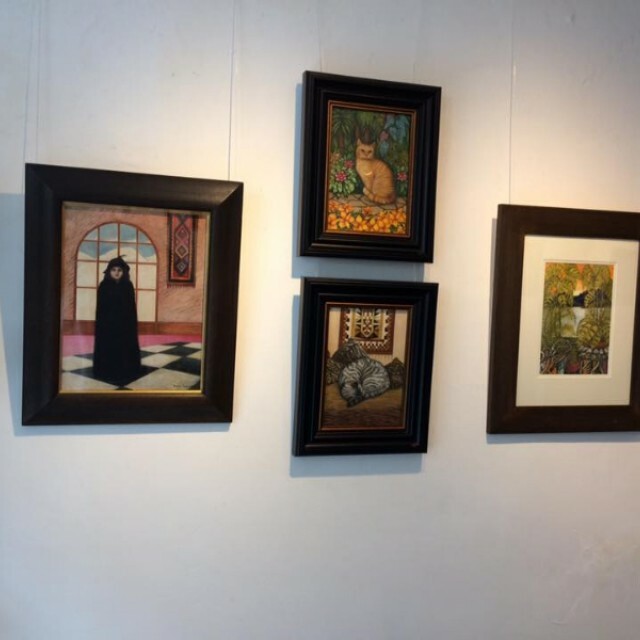 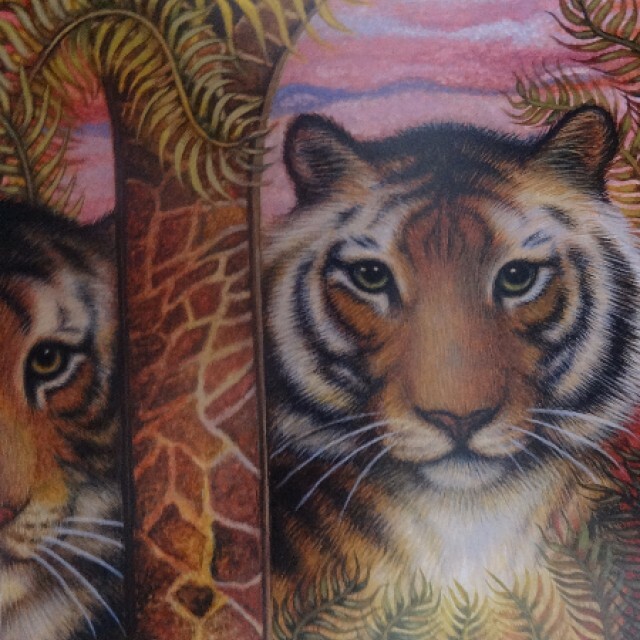 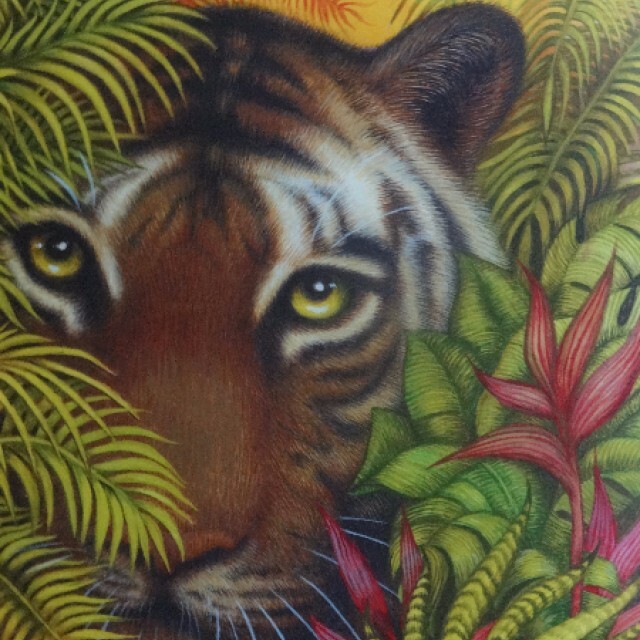 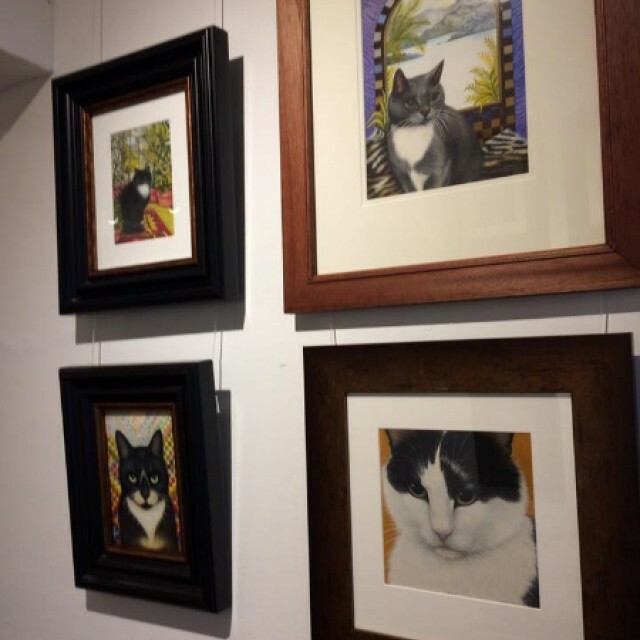 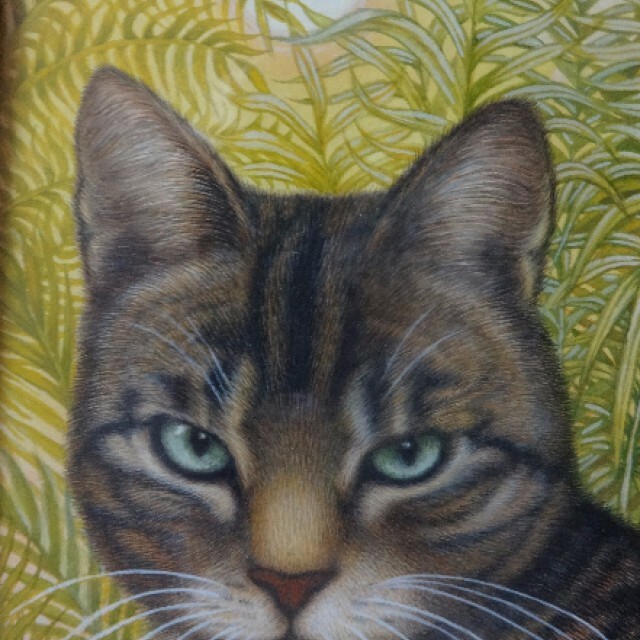 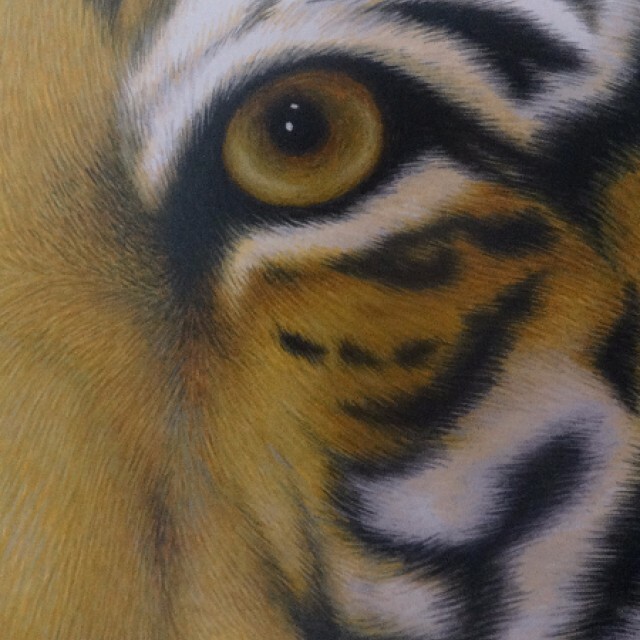 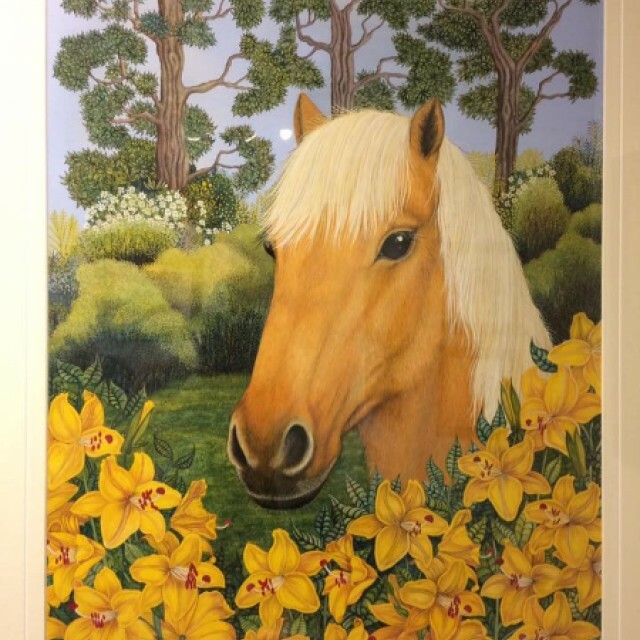 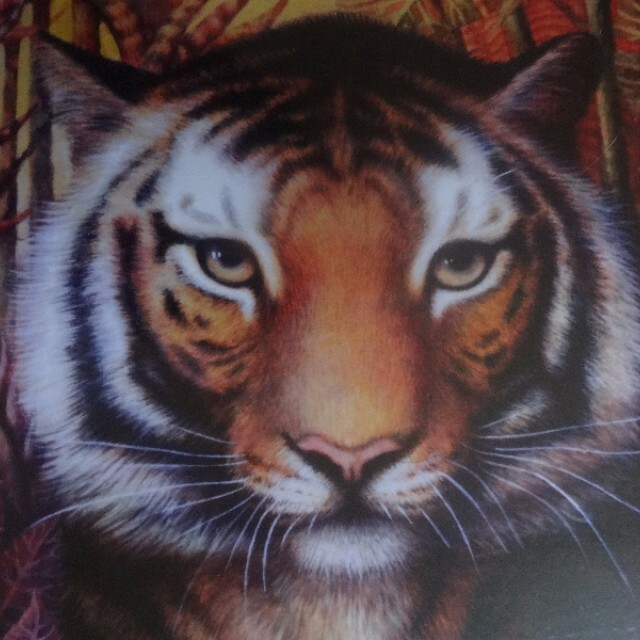 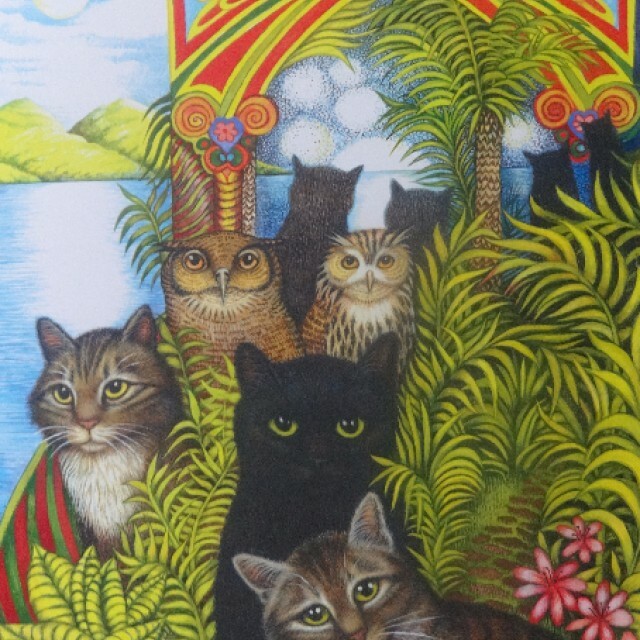 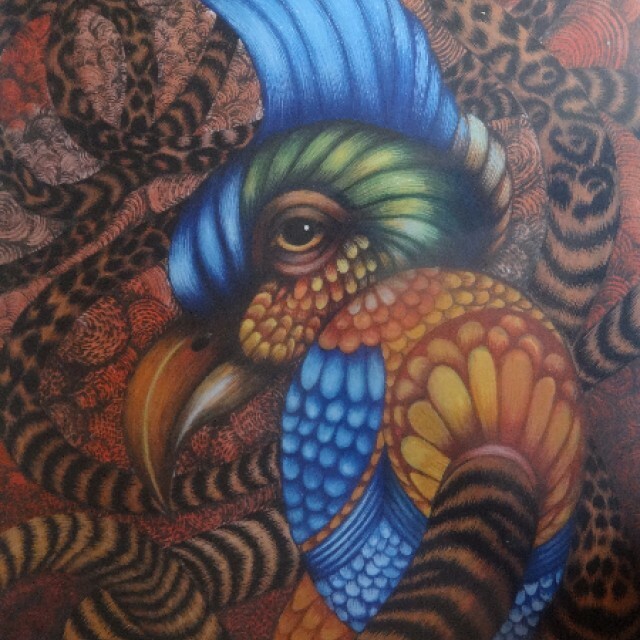 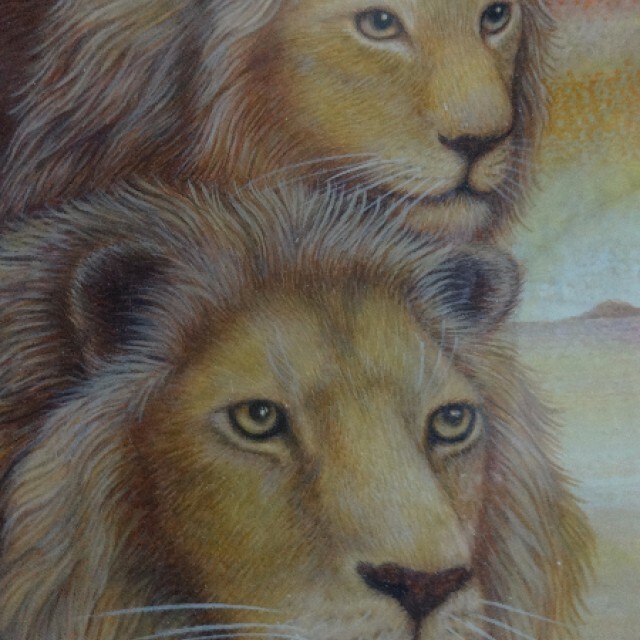 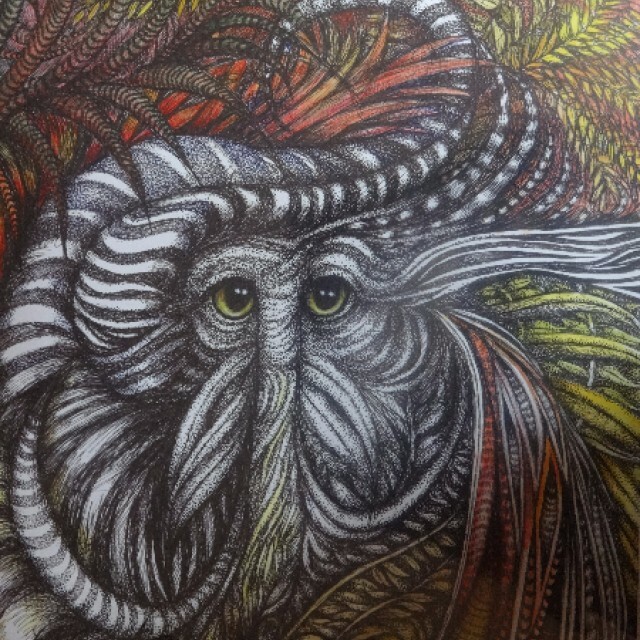 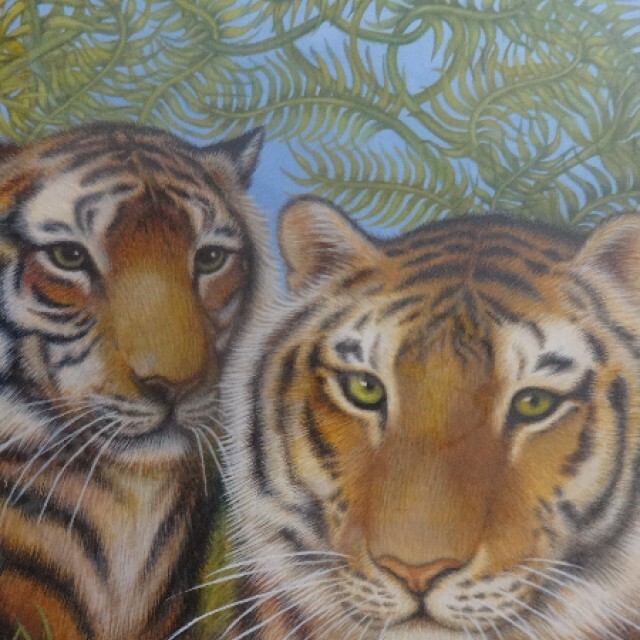 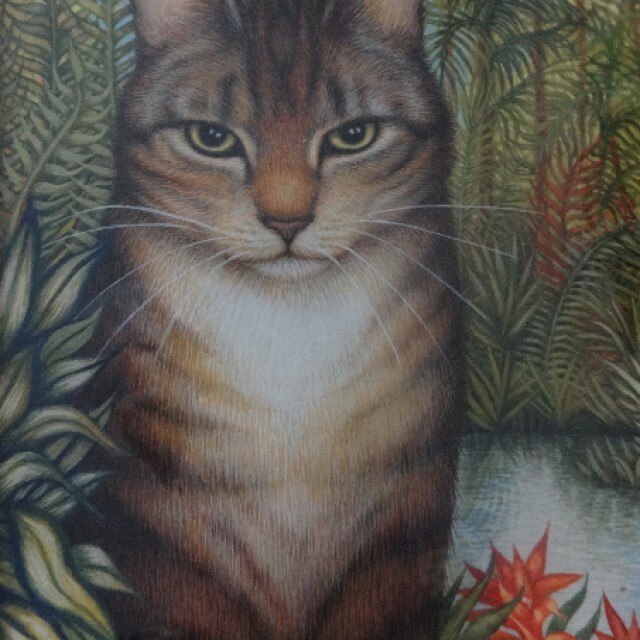 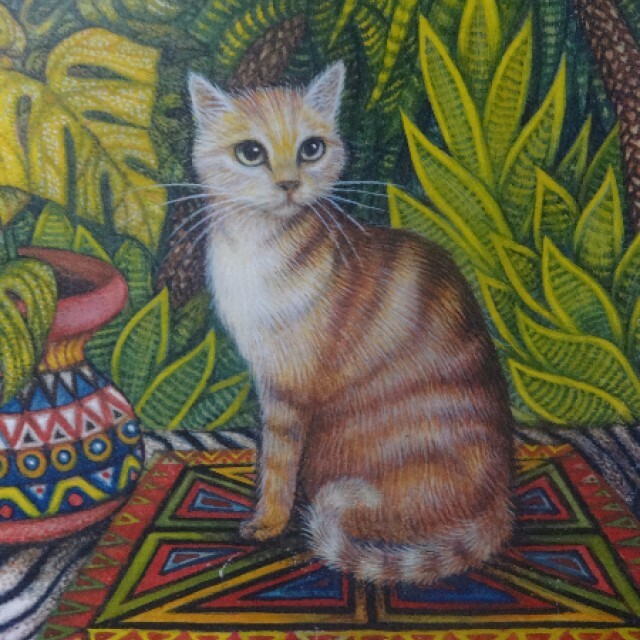 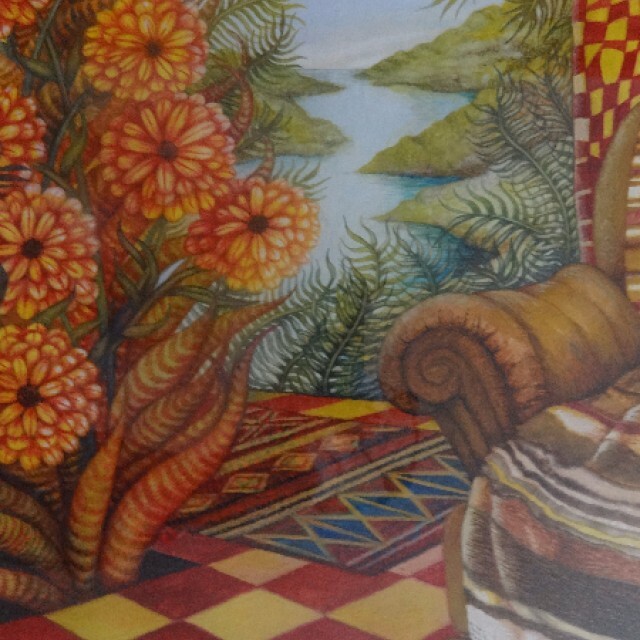 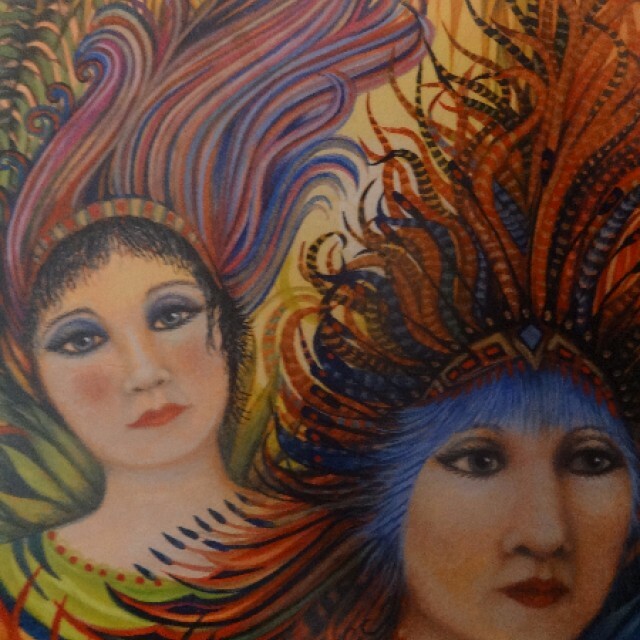 Anthea is well known for her superbly detailed portraits, animal and bird paintings, exotic in atmosphere, inspired originally by her childhood visit to Green Island off Queensland, where she saw feral cats peeping out of the jungle undergrowth. 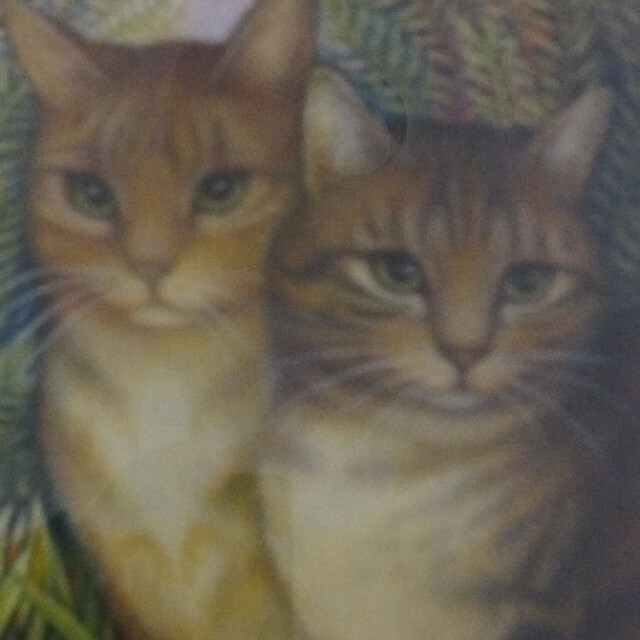 These were to be the source of future paintings for many years. 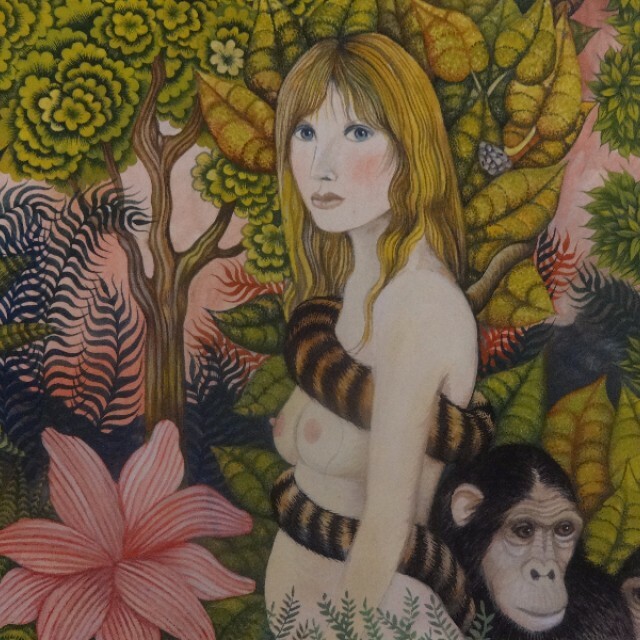 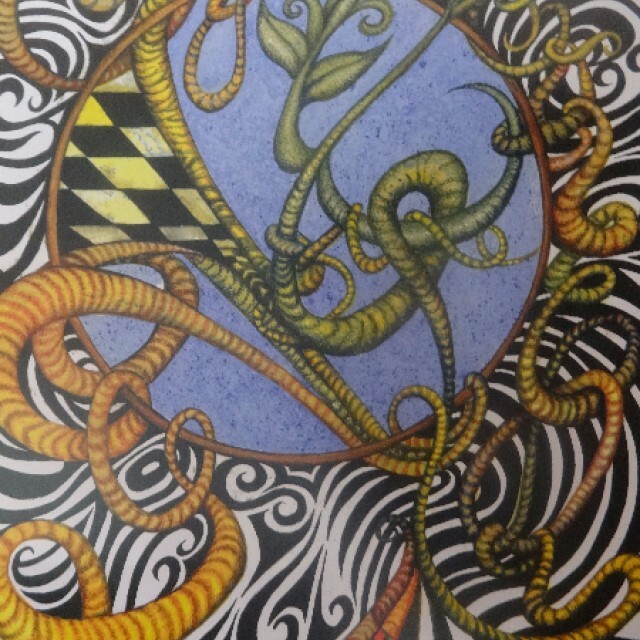 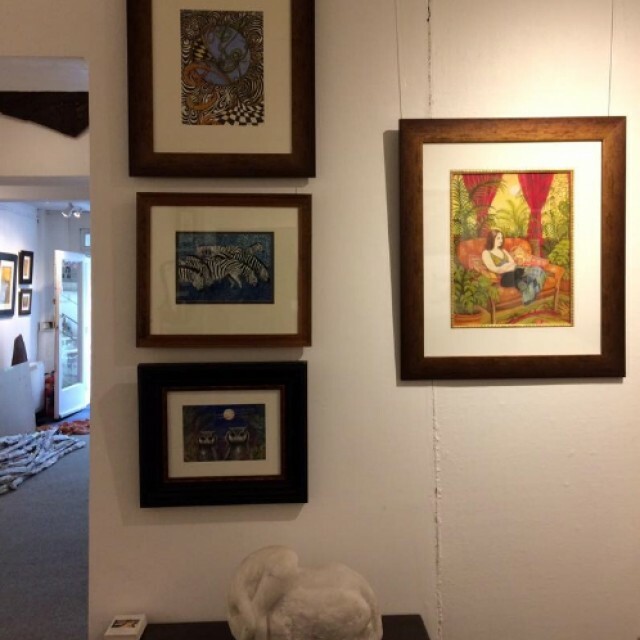 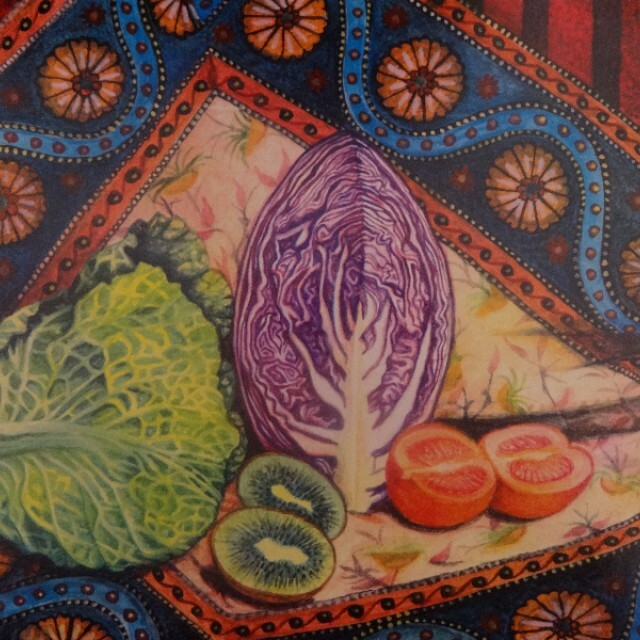 This new exhibition brings together a varied selection of work. 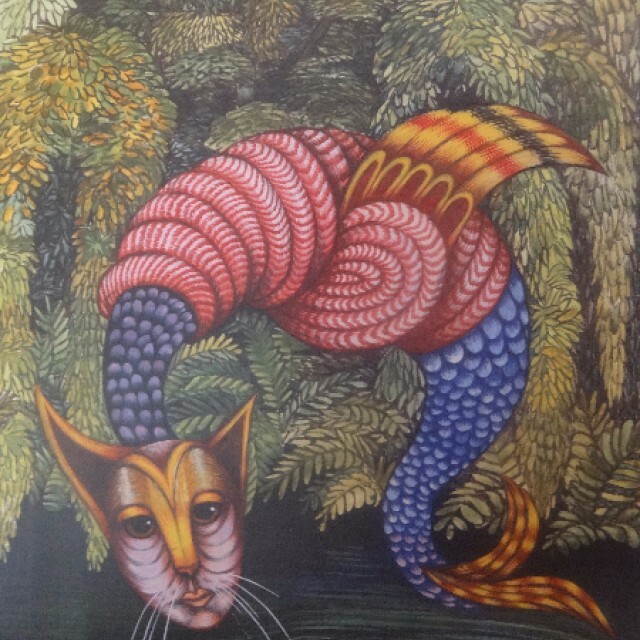 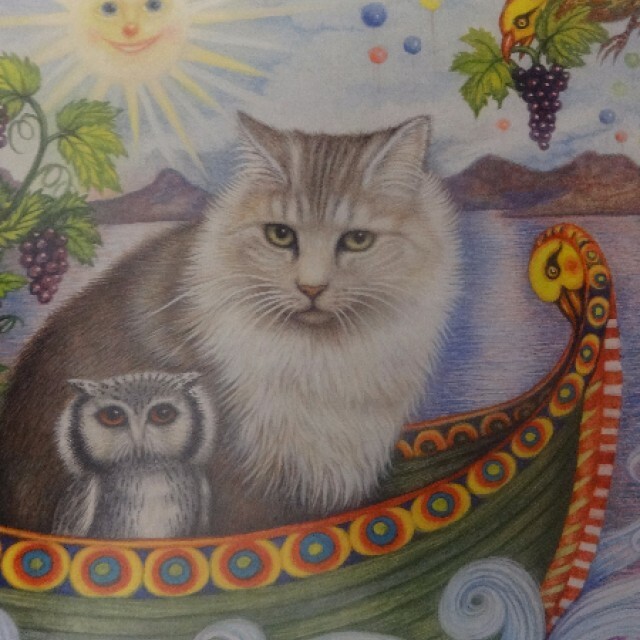 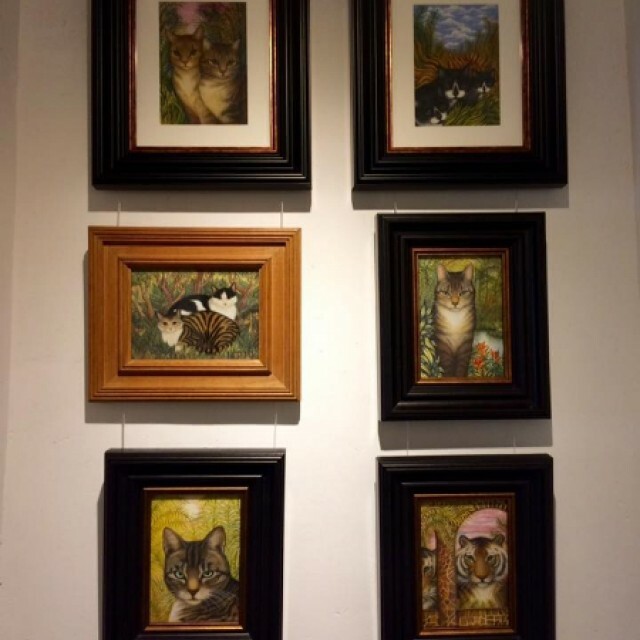 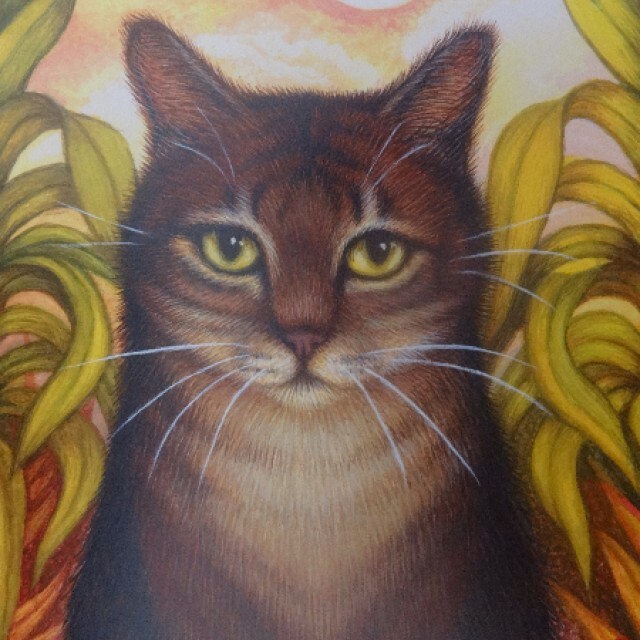 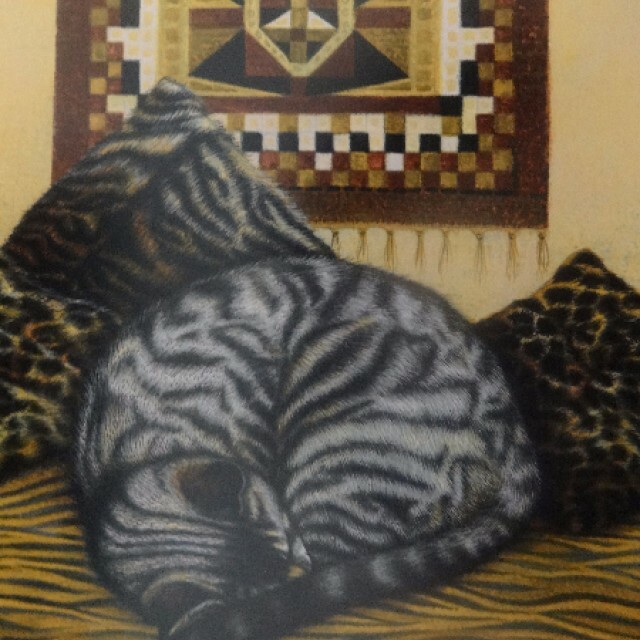 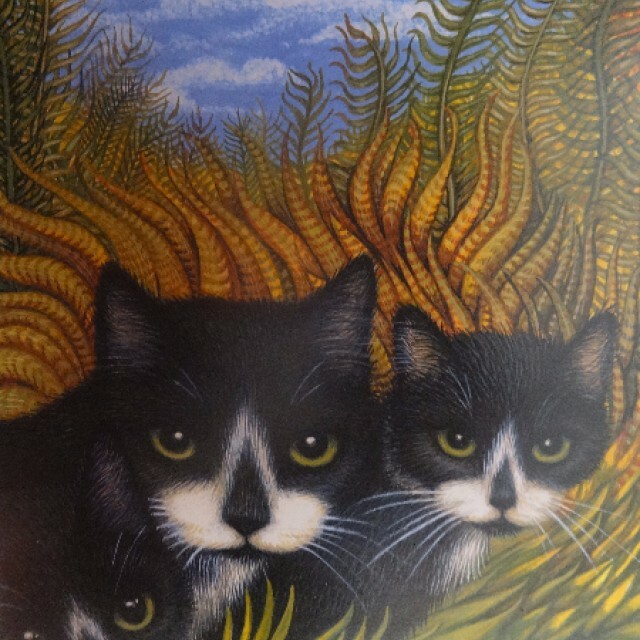 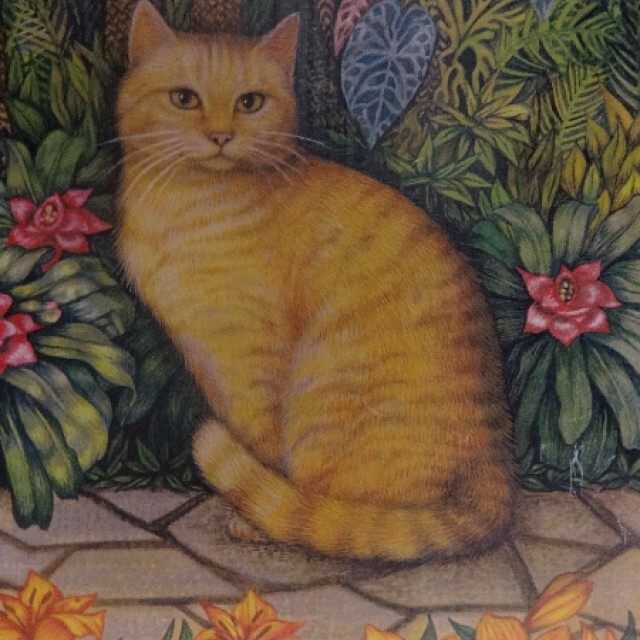 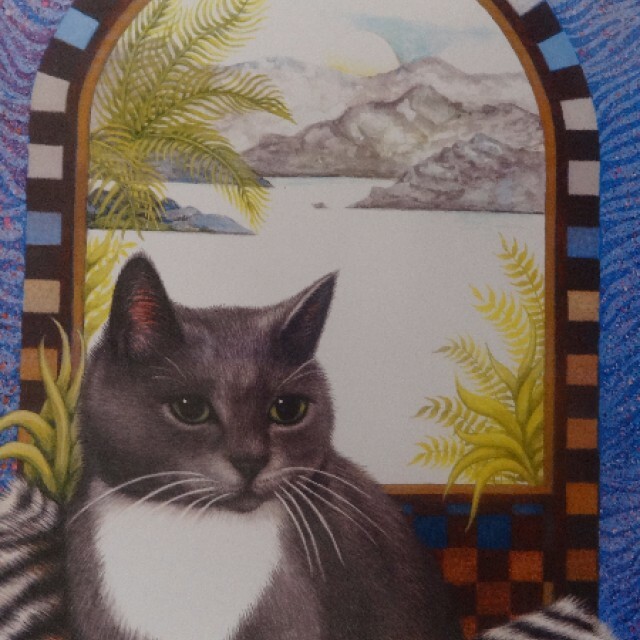 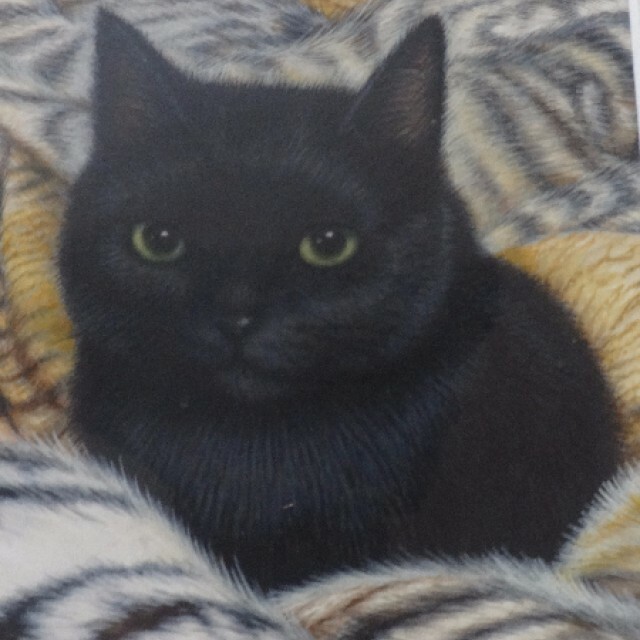 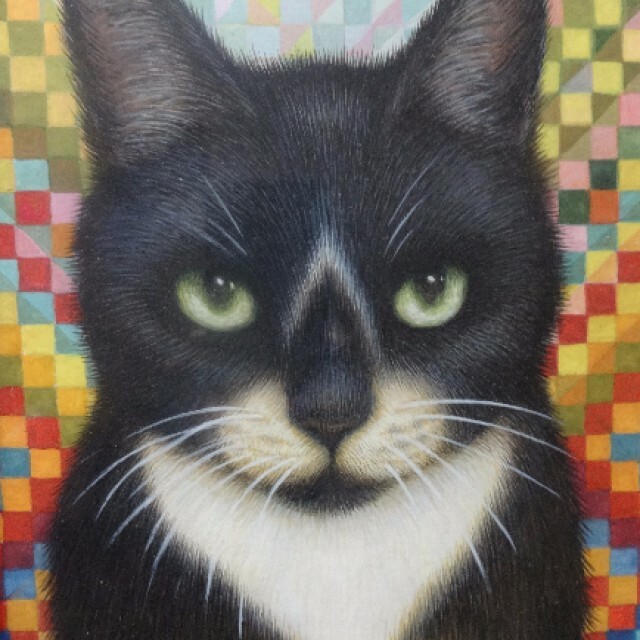 In some there is the bizarre imagery and contorted forms of turbulence, in others, there are landscapes framed by rich patterns and a presence of the deep gaze of a commanding cat. 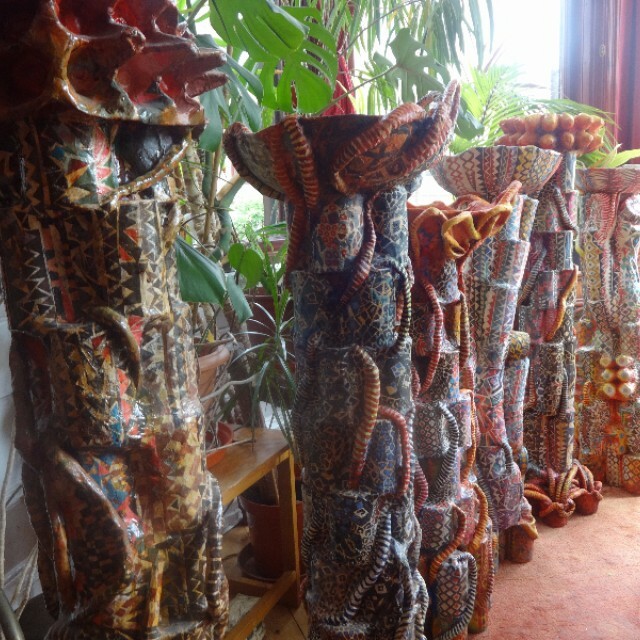 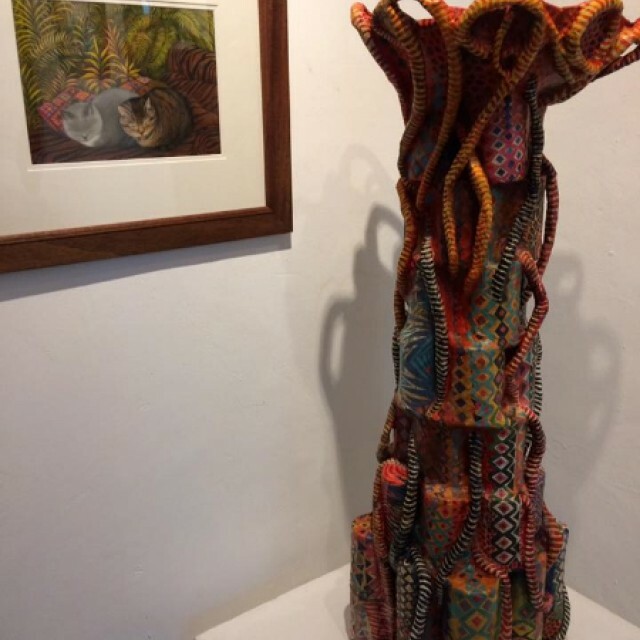 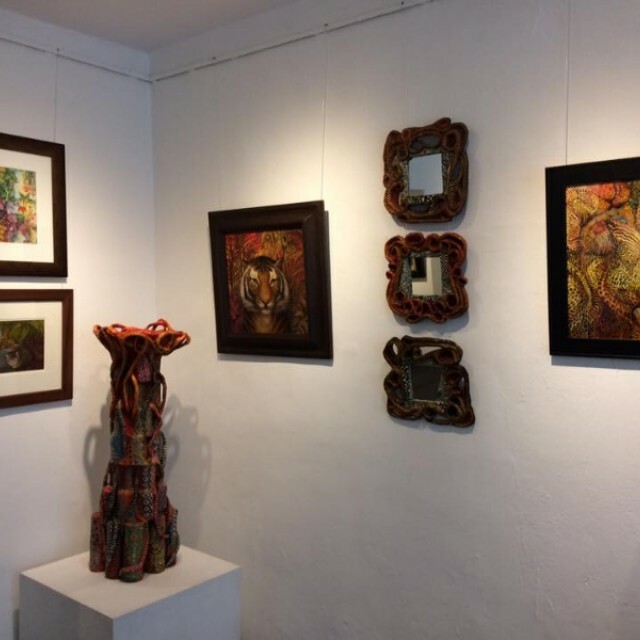 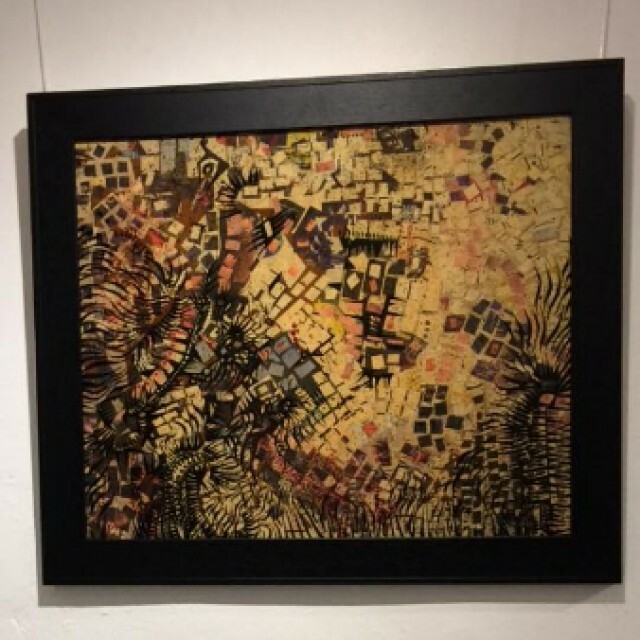 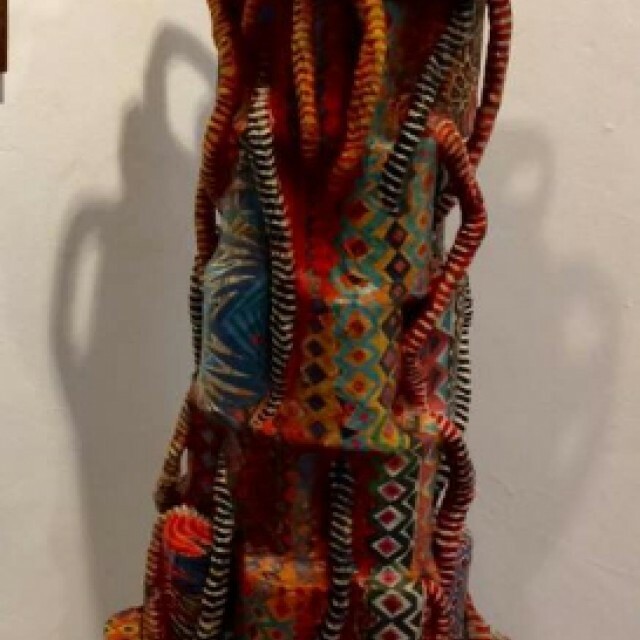 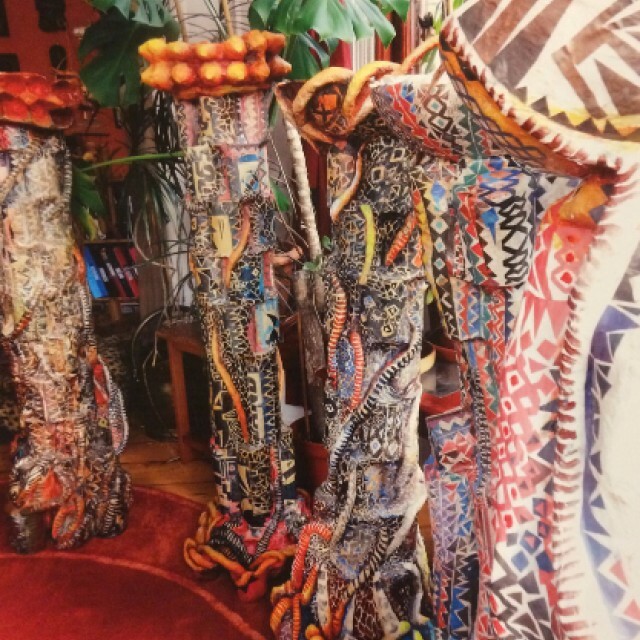 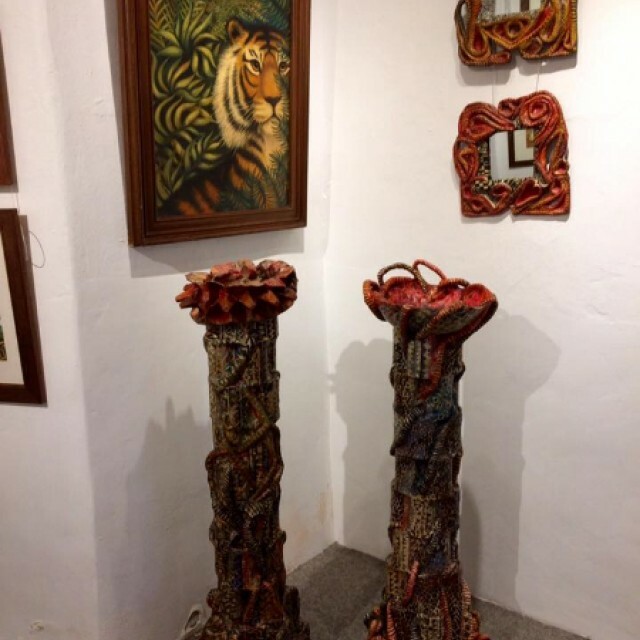 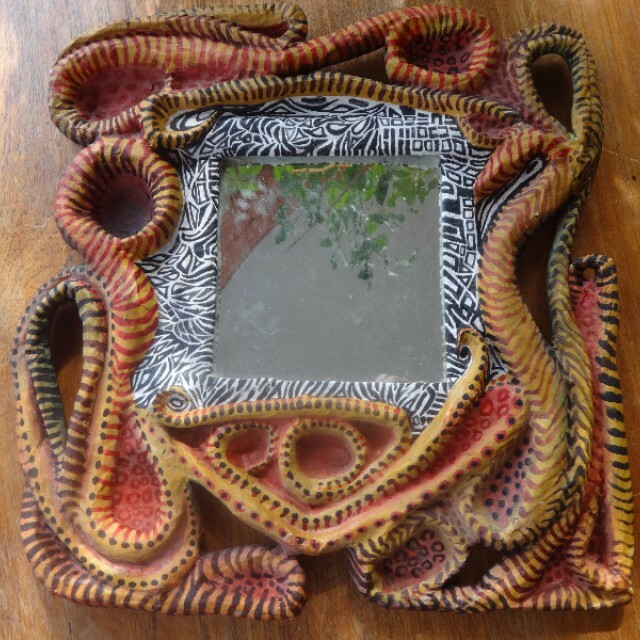 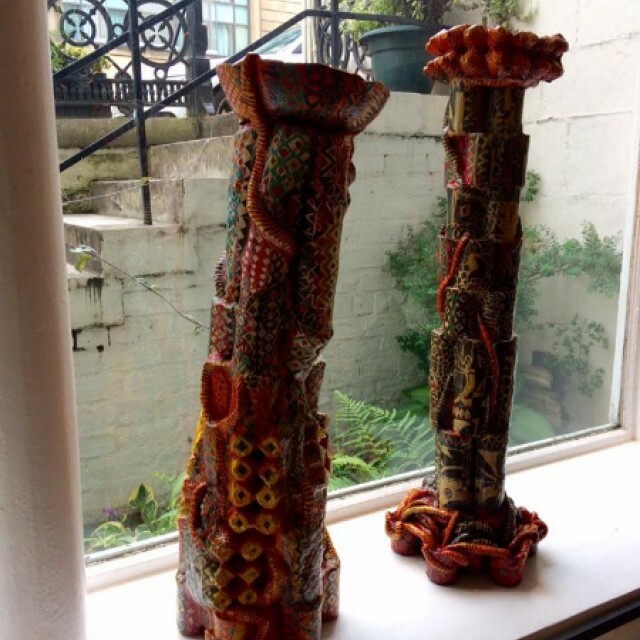 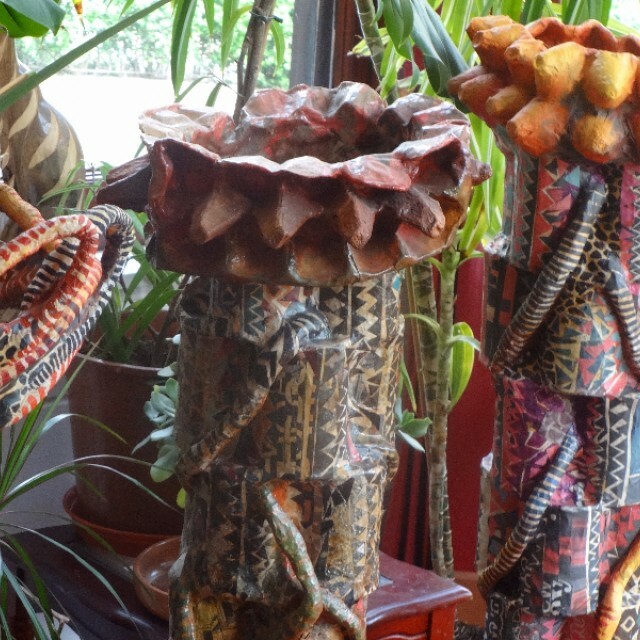 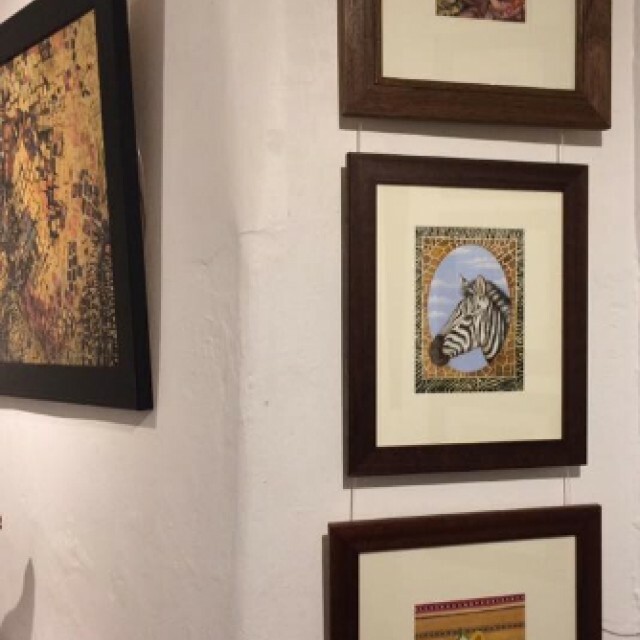 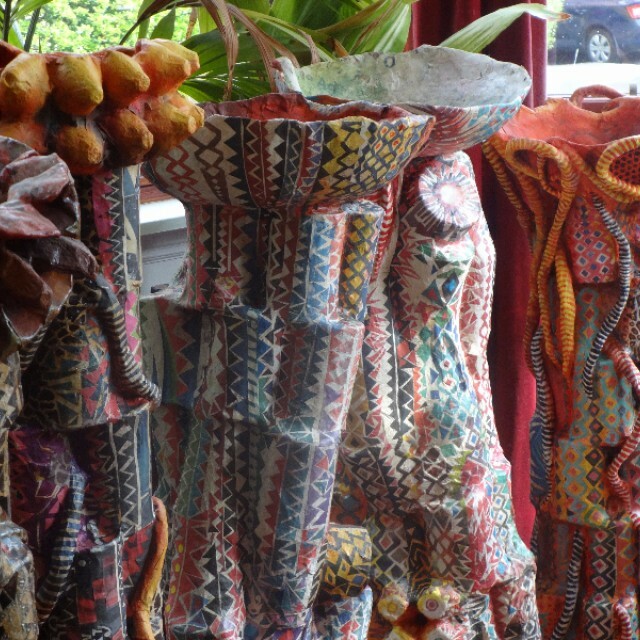 Showing alongside her paintings, Anthea has created some monumental and exotic papier mache sculptures and frames, decorated with richly patterned swirling coils and mosaics. 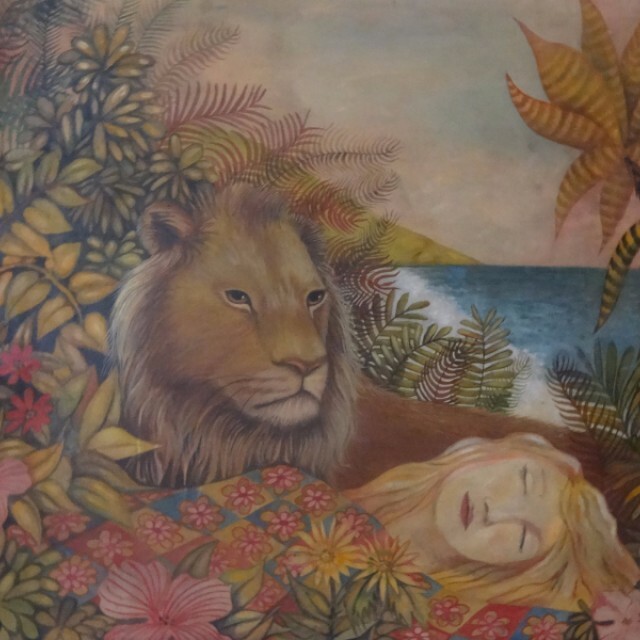 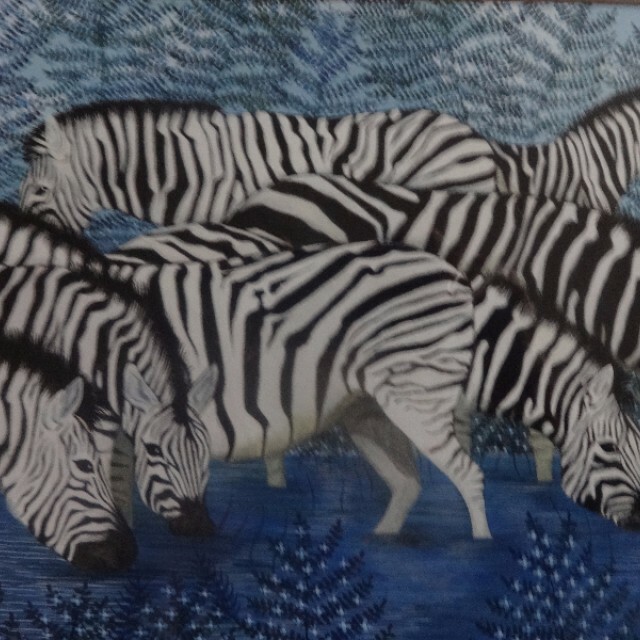 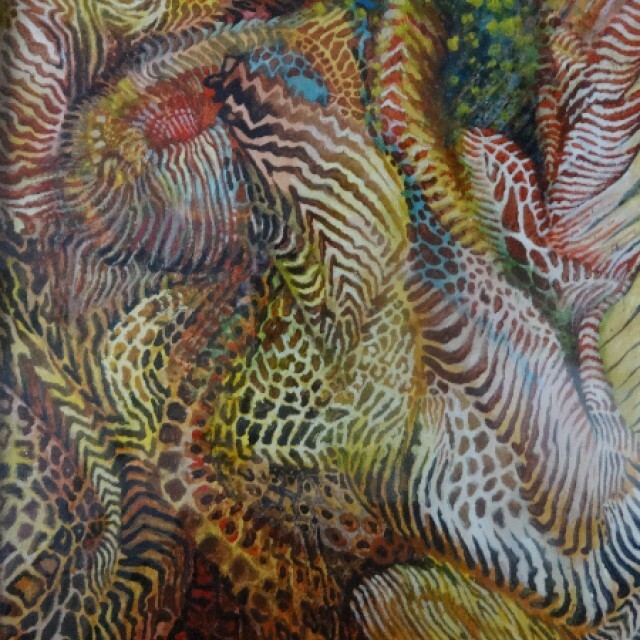 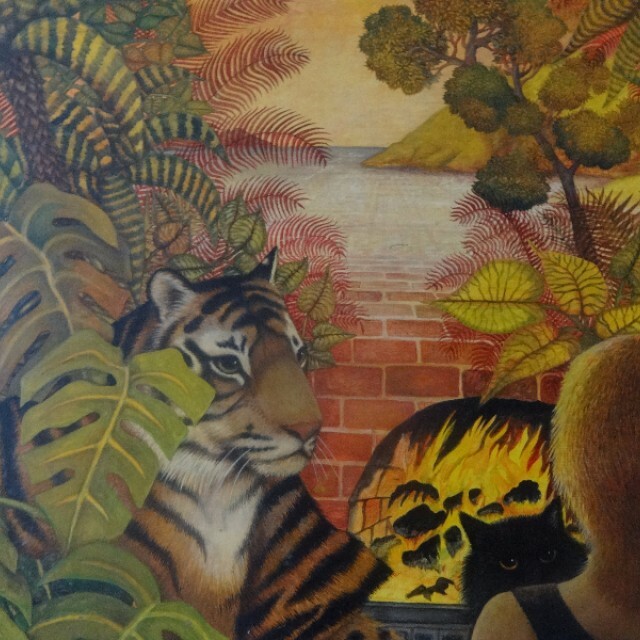 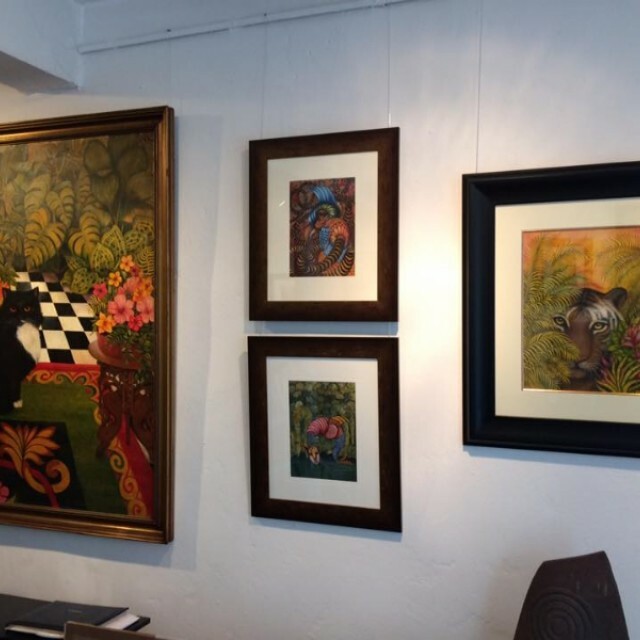 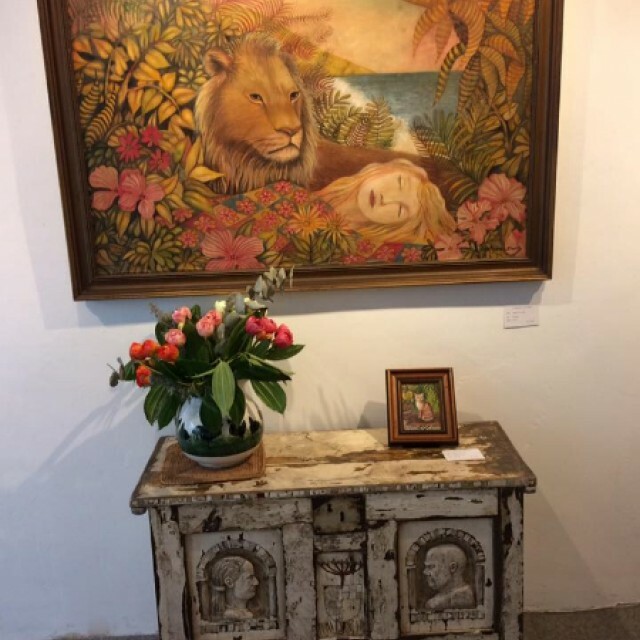 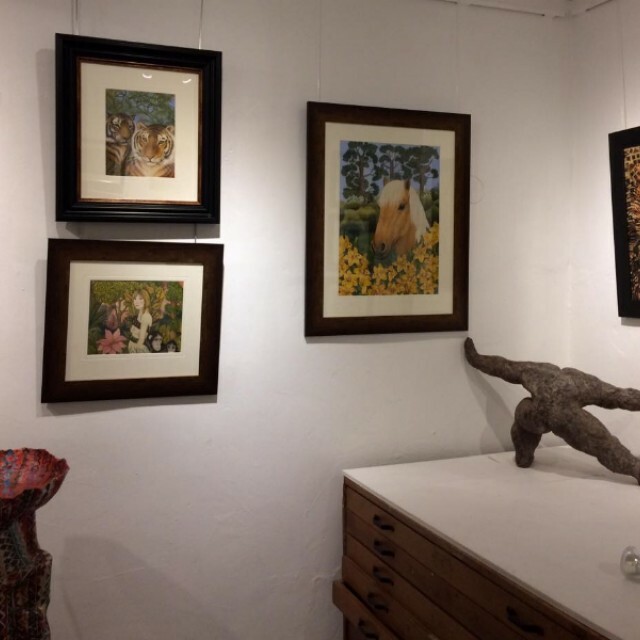 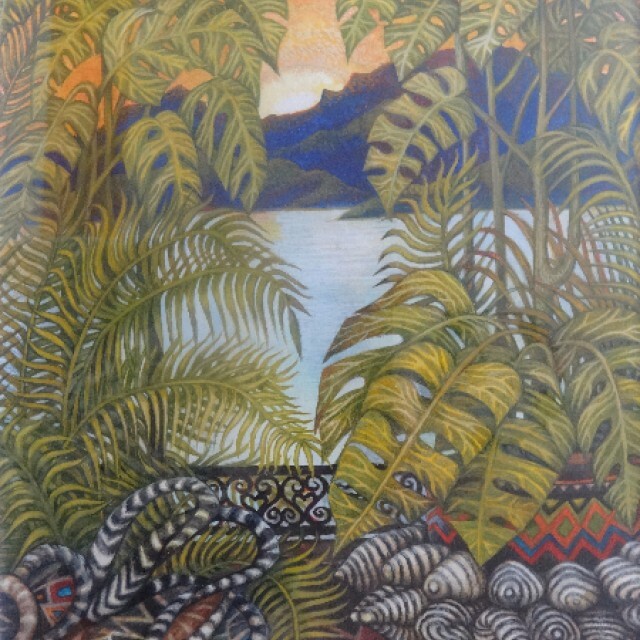 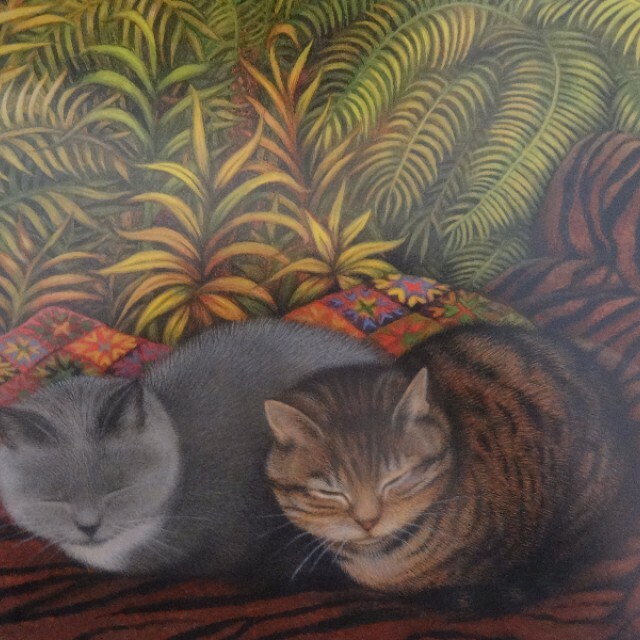 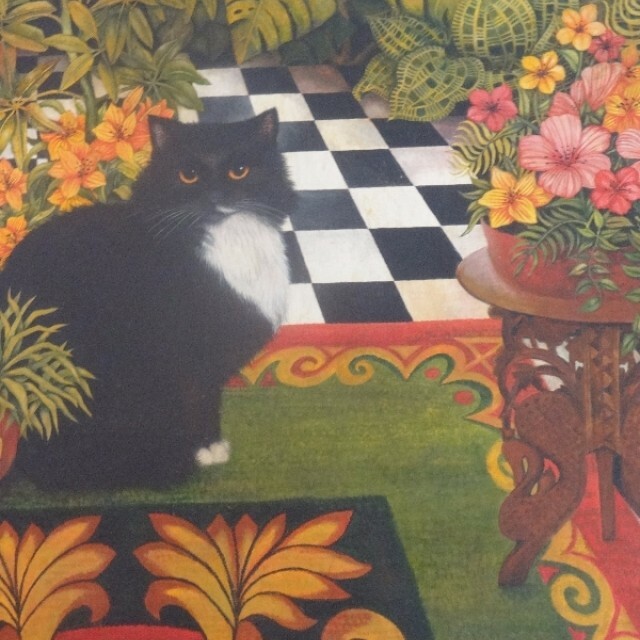 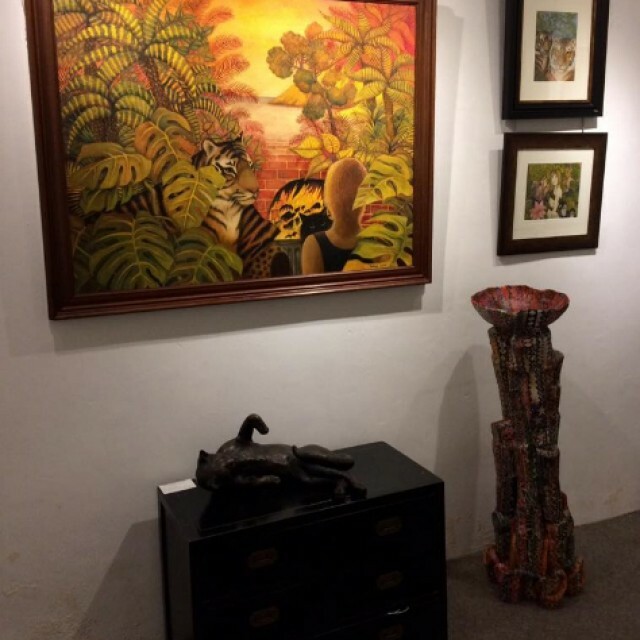 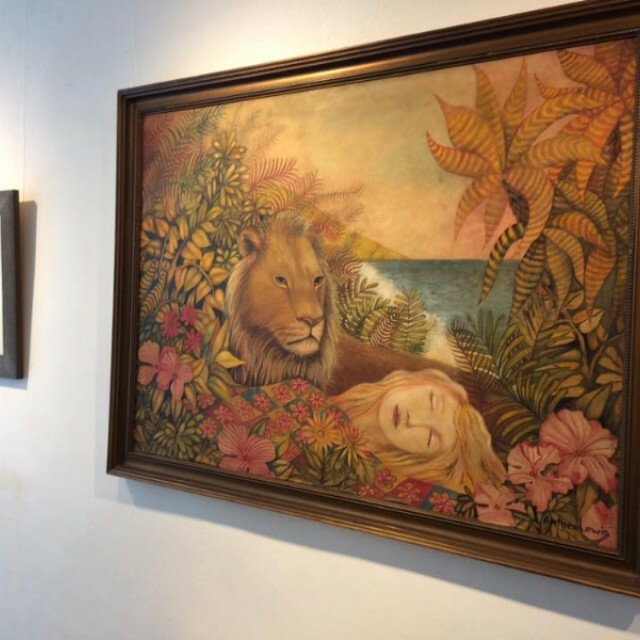 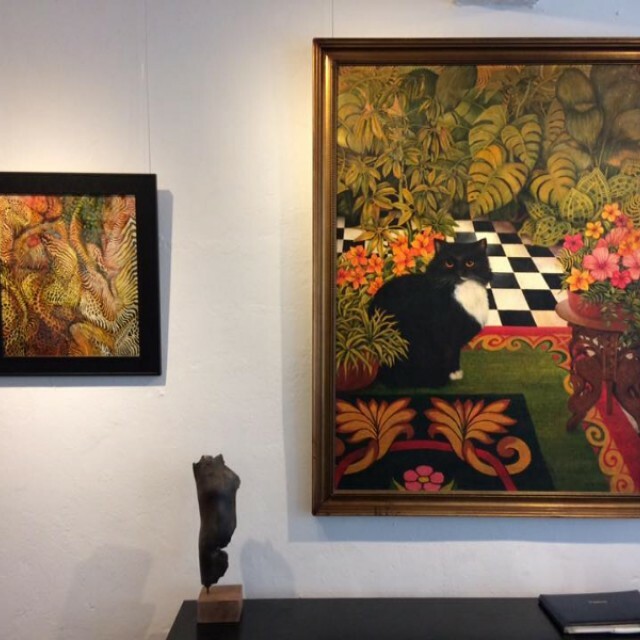 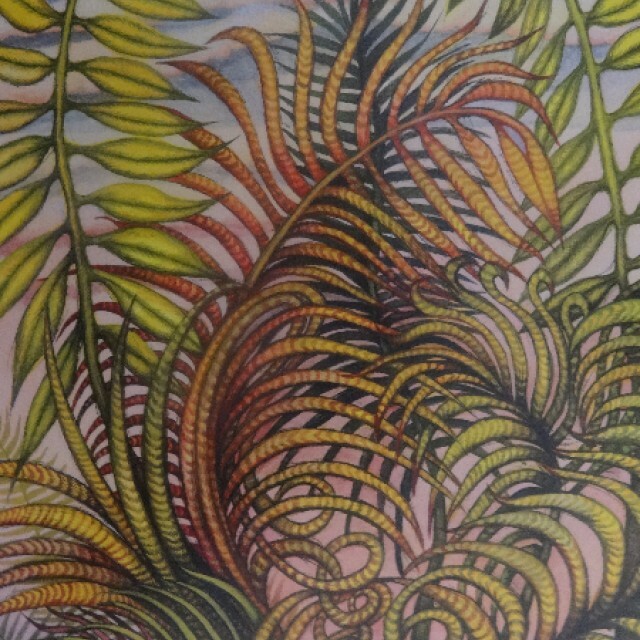 Cyril Gerber wrote ‘Some of these works are reminiscent of Rousseau, but to our mind, Anthea Lewis is no primitive, she is a highly skilled professional painter whose work has an authenticity and charm, which, if anything, is heightened by the grouping together of some 50 paintings and sculpture for this show."